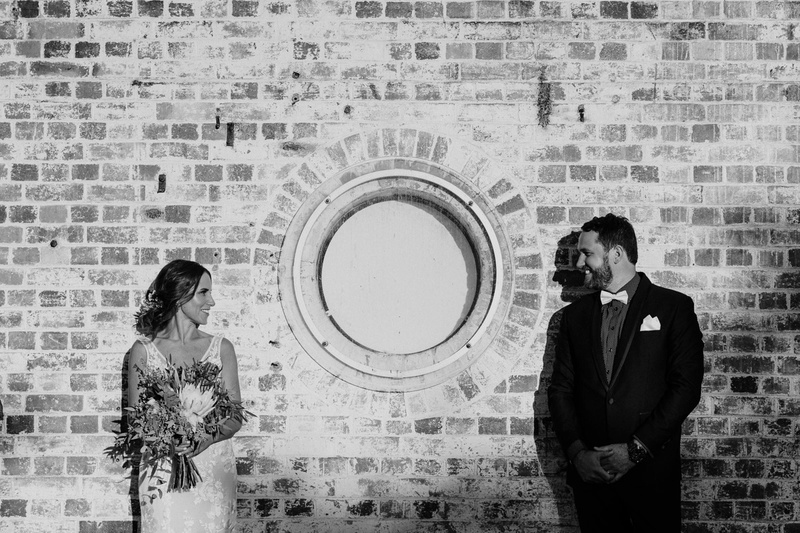 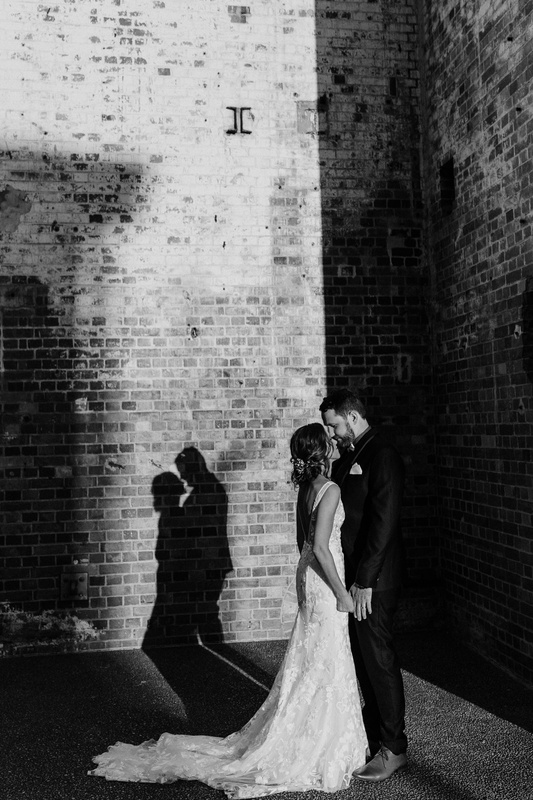 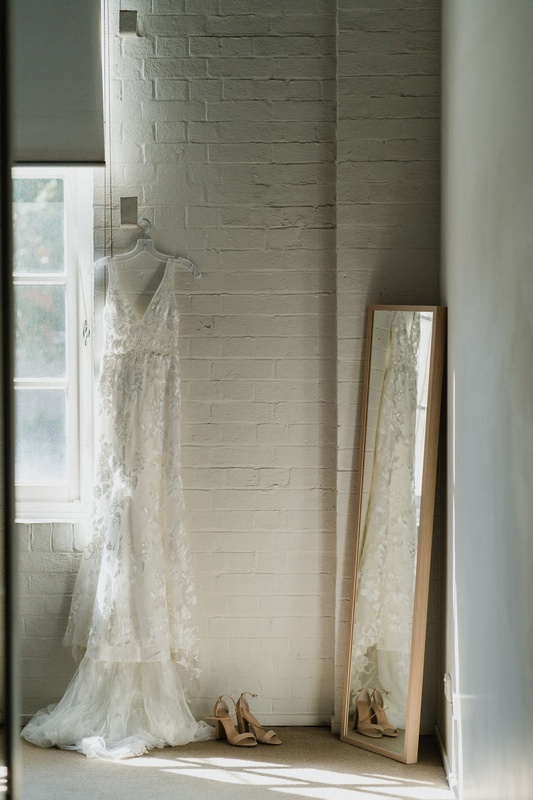 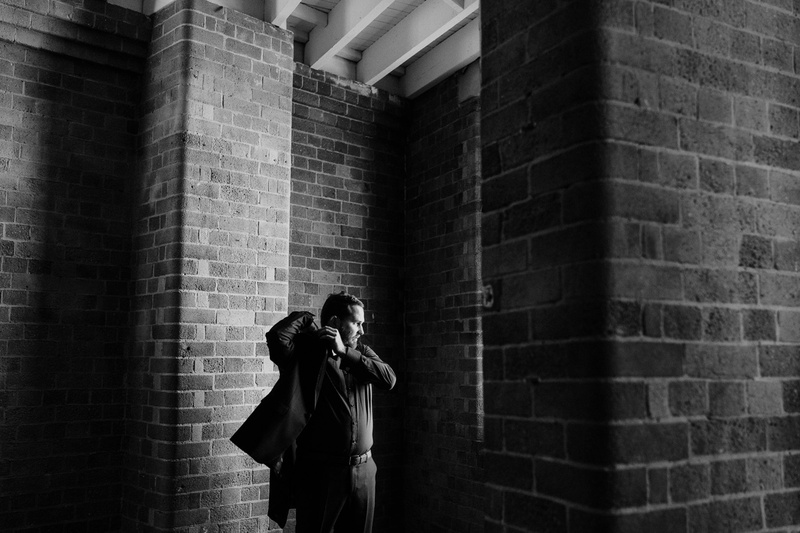 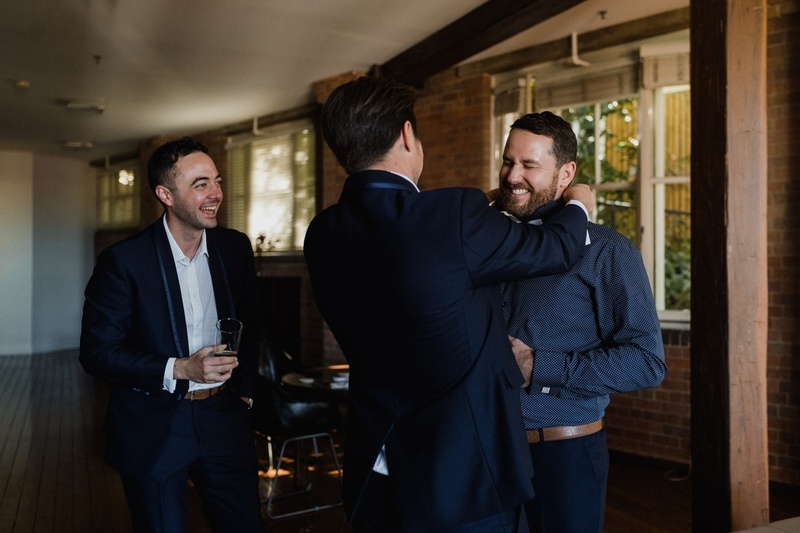 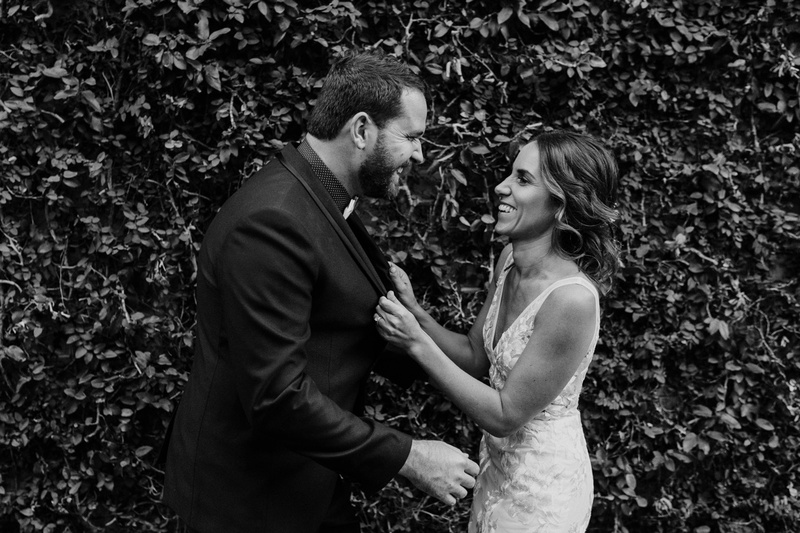 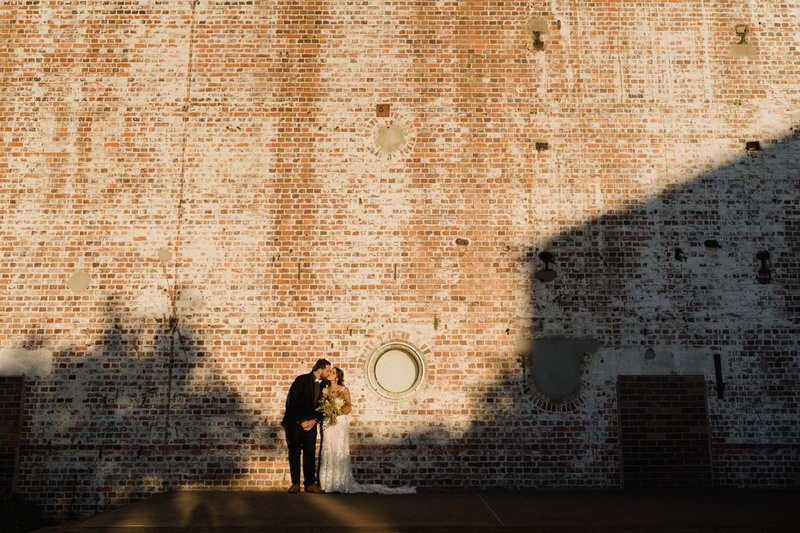 I first met Sally and Andrew over a Skype call to be their photographer for their Lightspace Wedding in Brisbane. 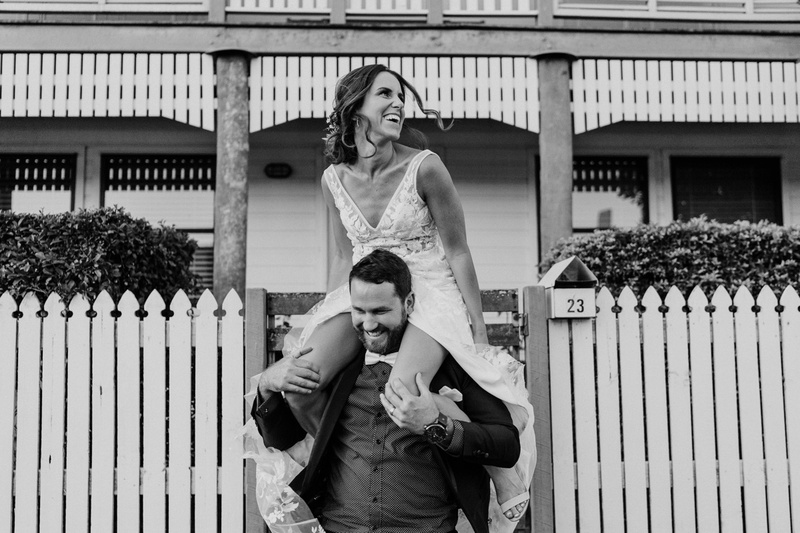 They both work as teachers overseas in an all English private school. 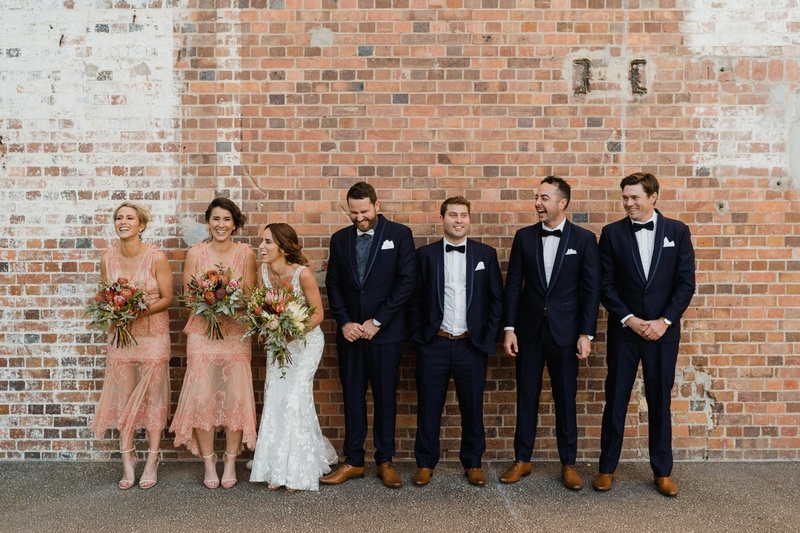 So you can imagine it’d be quite tough for them to organise a wedding from afar. 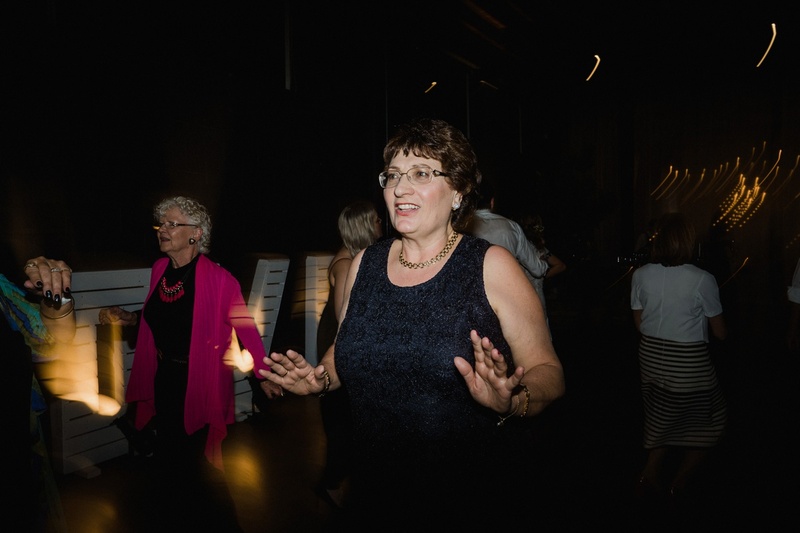 It lead me to a few questions, to which Sally happily answered. 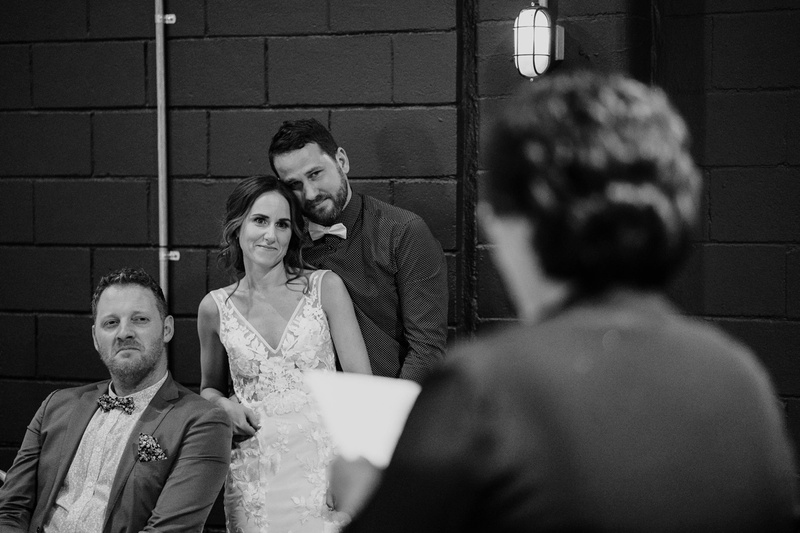 This is tough, it was an incredible day all round with so many highlights. 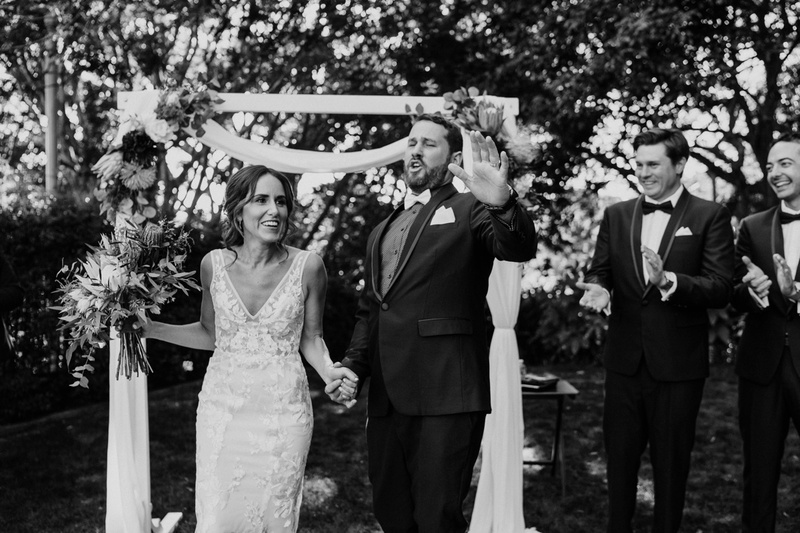 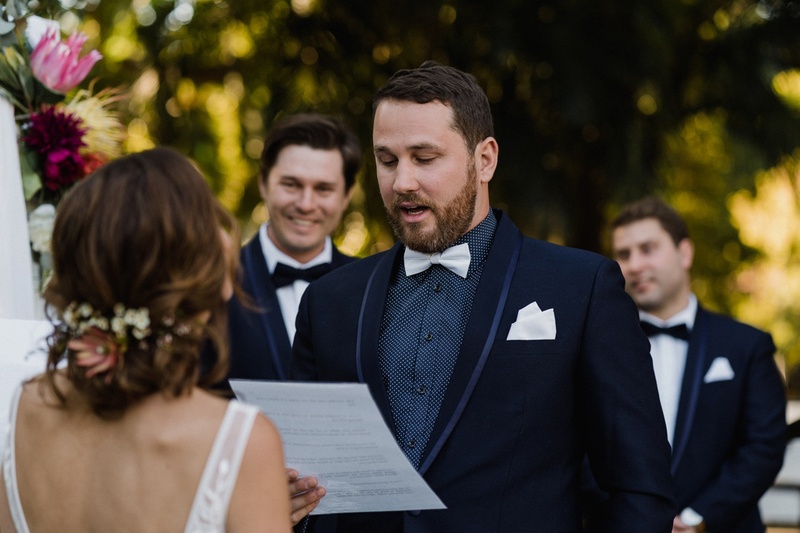 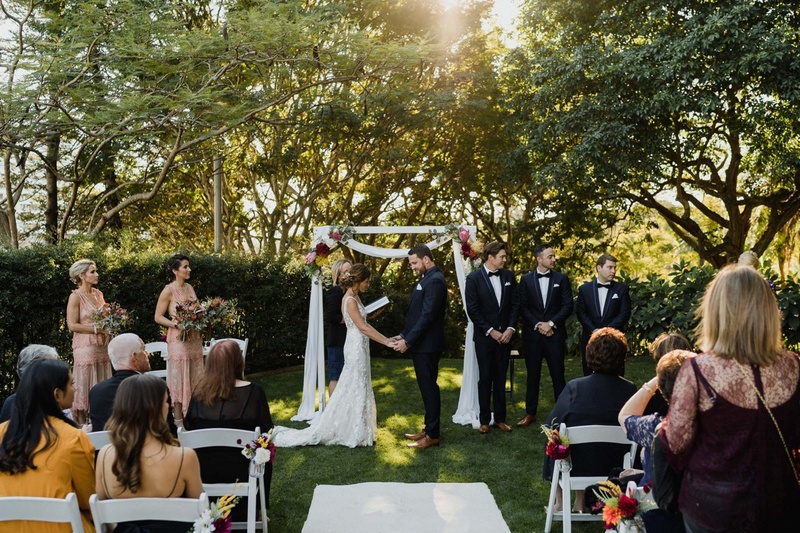 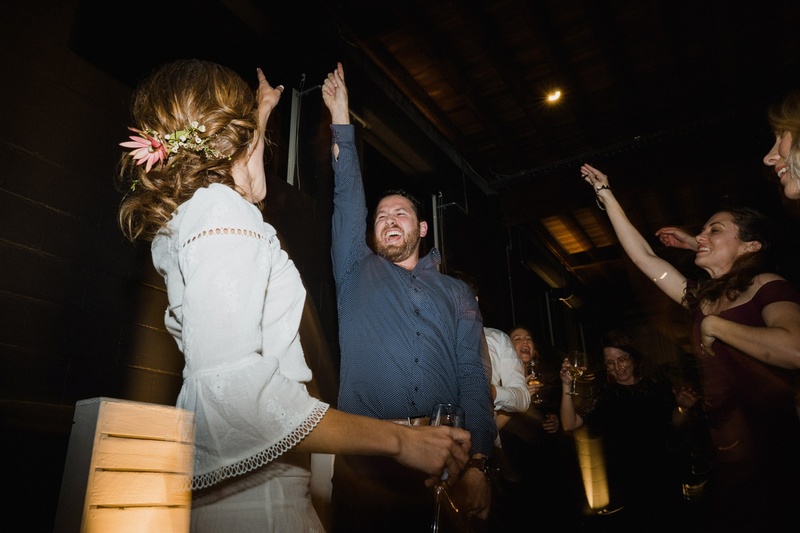 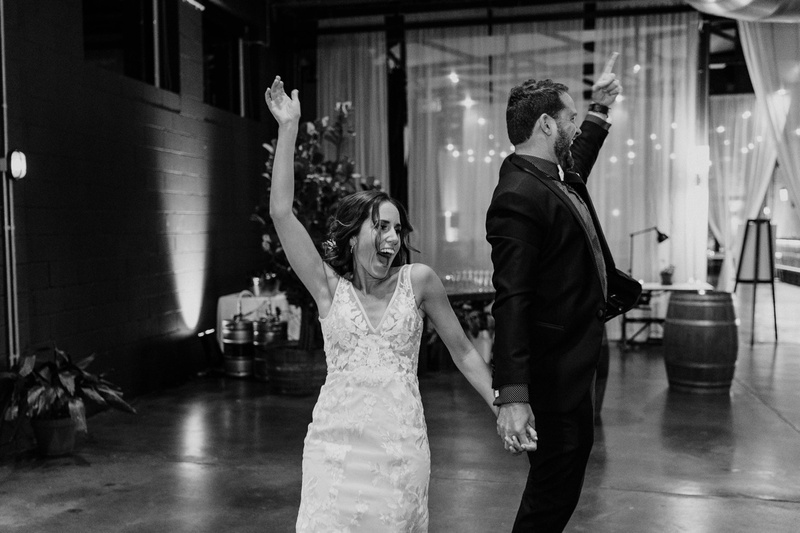 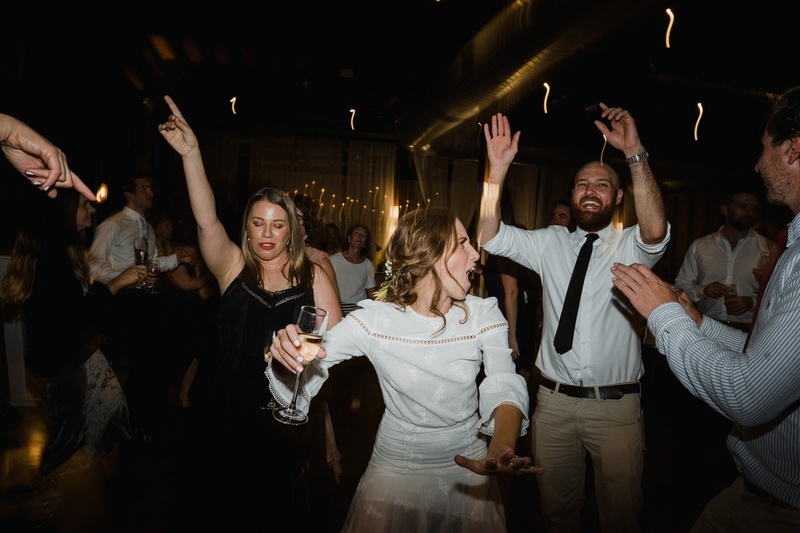 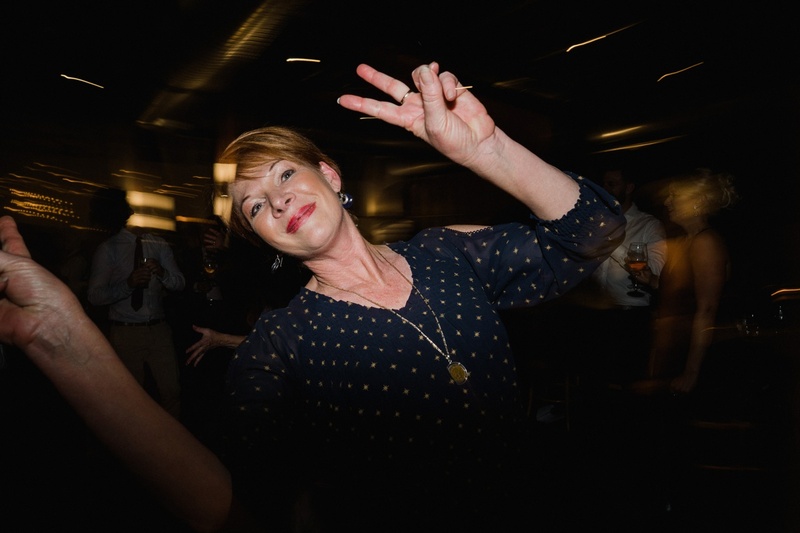 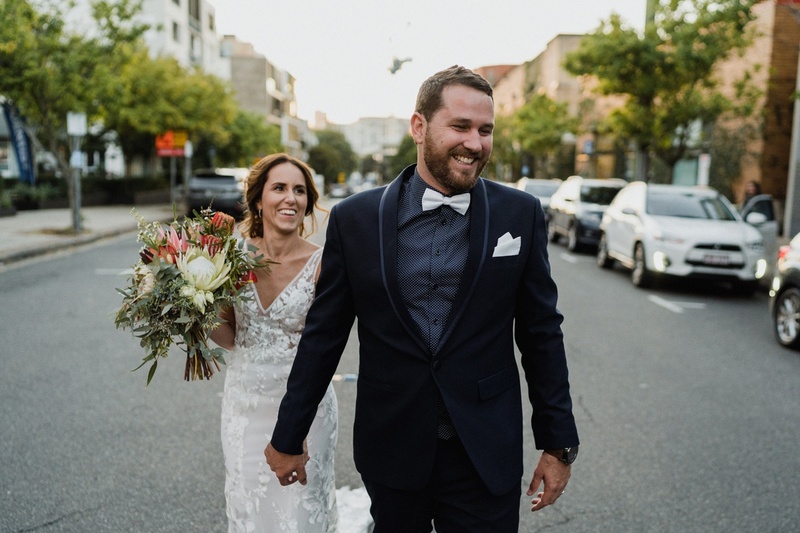 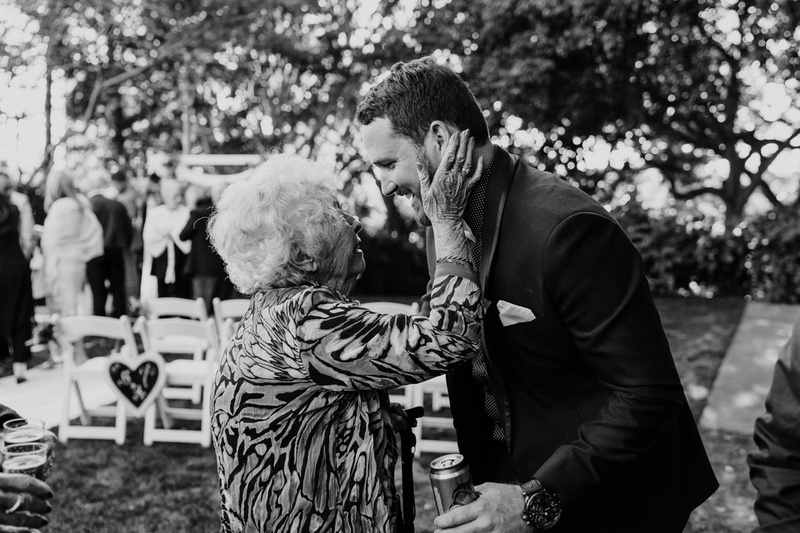 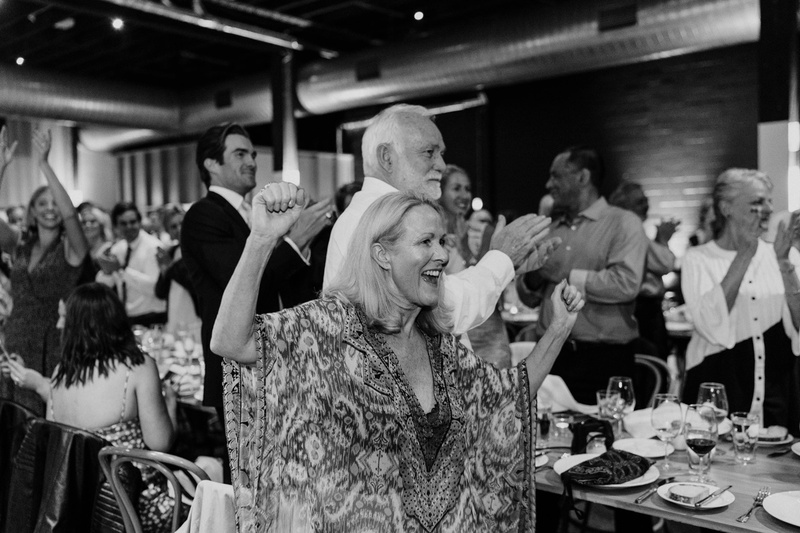 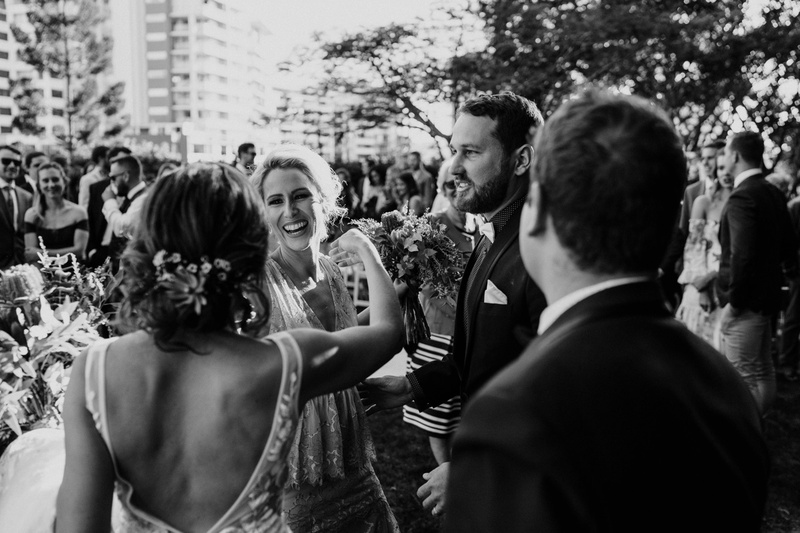 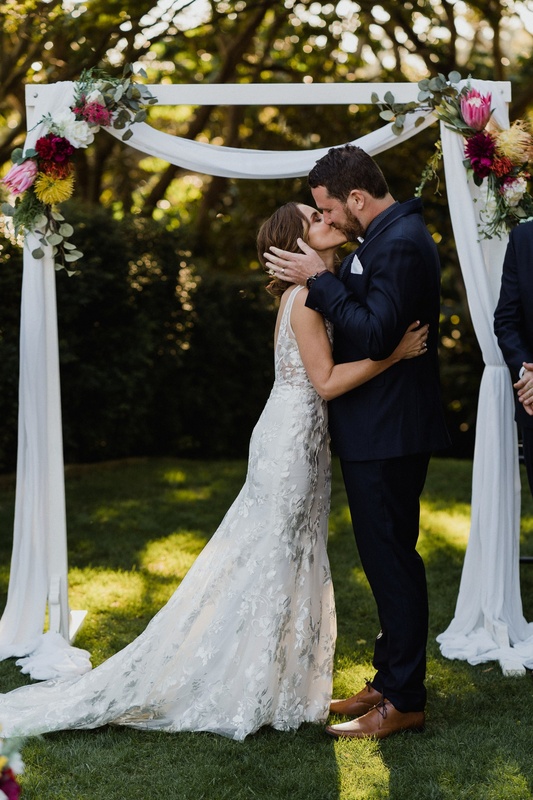 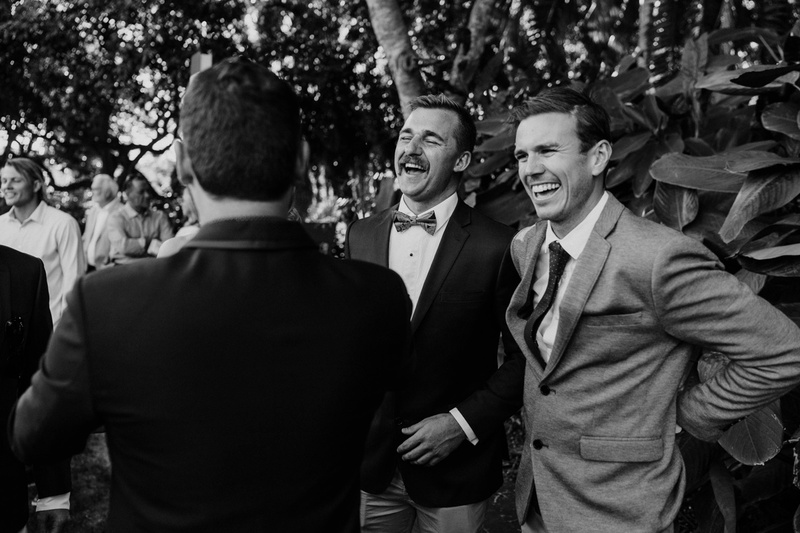 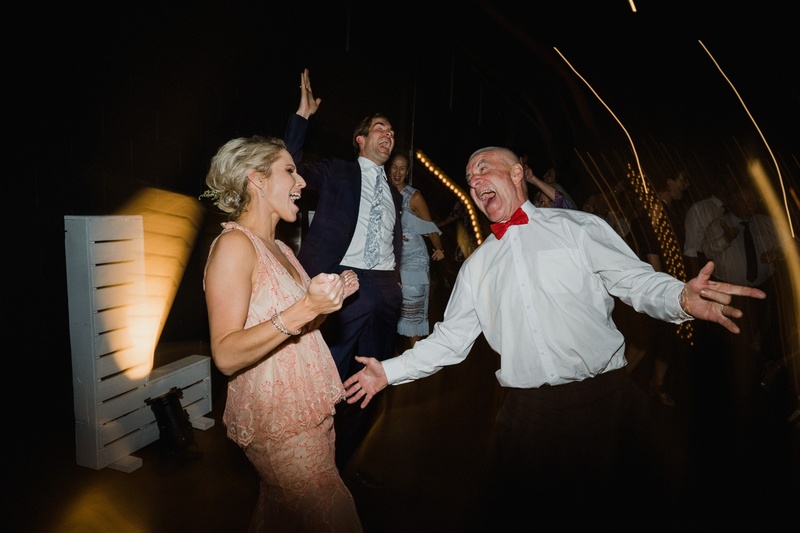 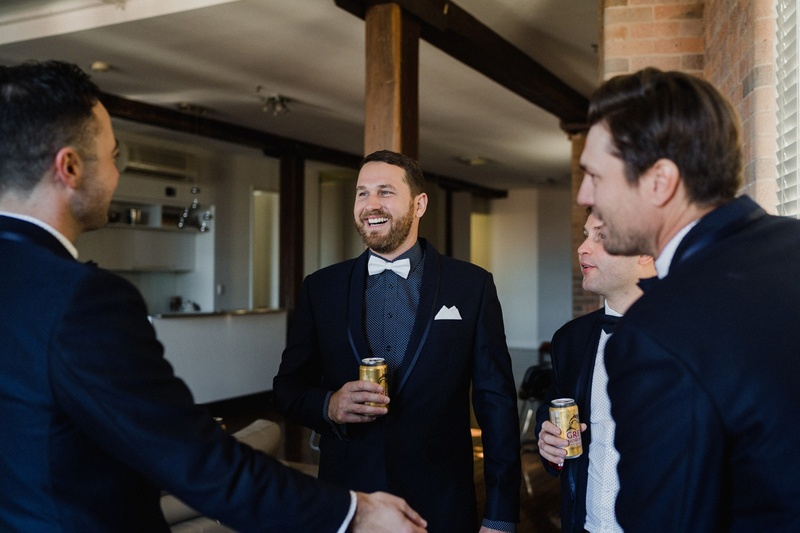 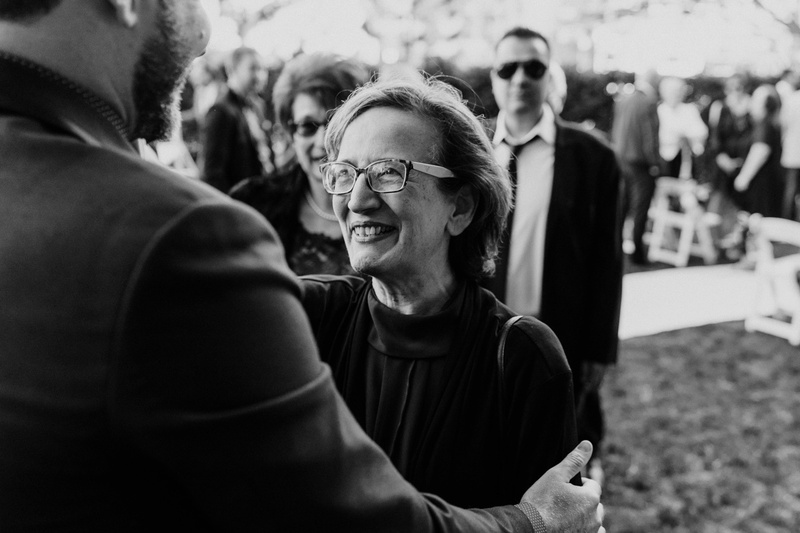 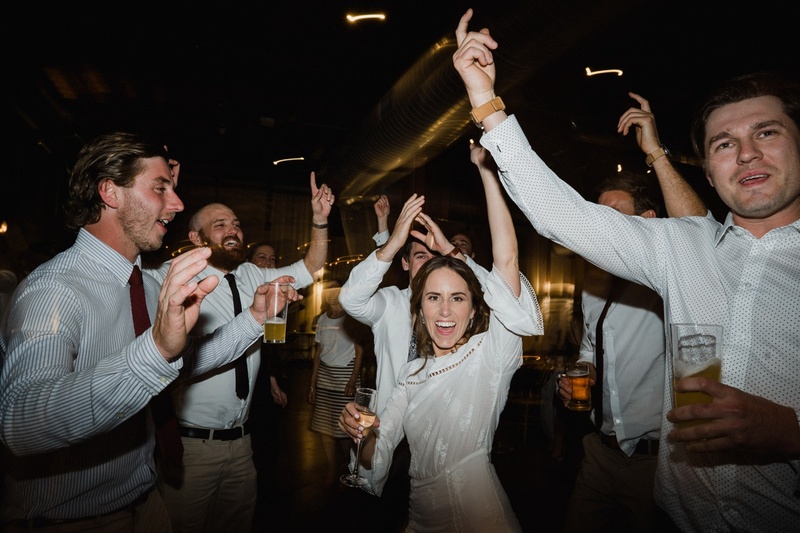 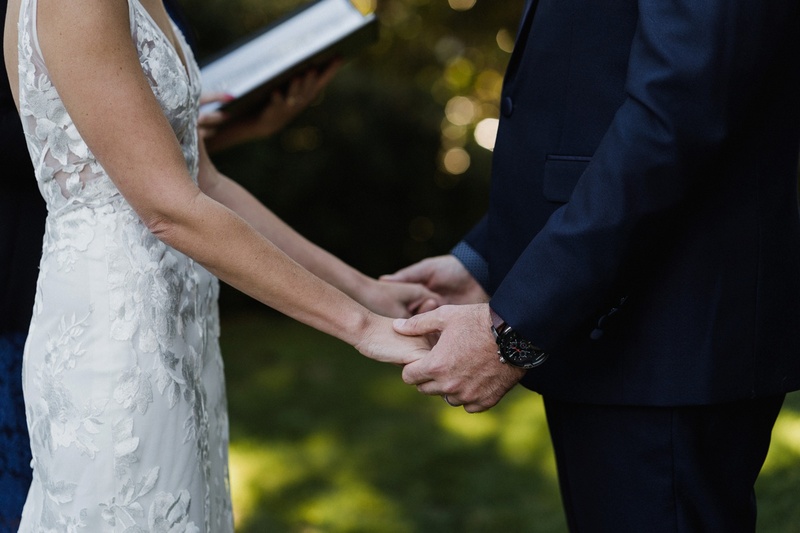 If we had to name a few… Definitely the recessional sing along when the PA system failed and 88 people belted out the tune, “shout” by the Isley brothers. 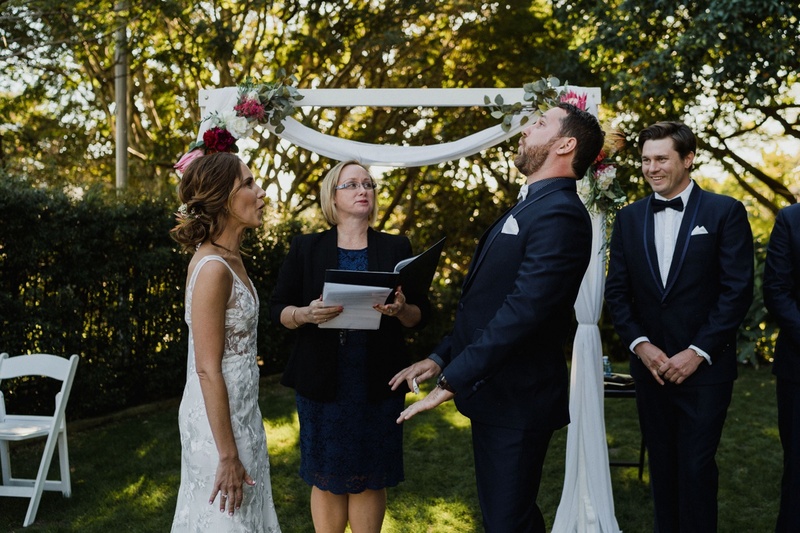 It added a great unexpected fun touch to the ceremony. 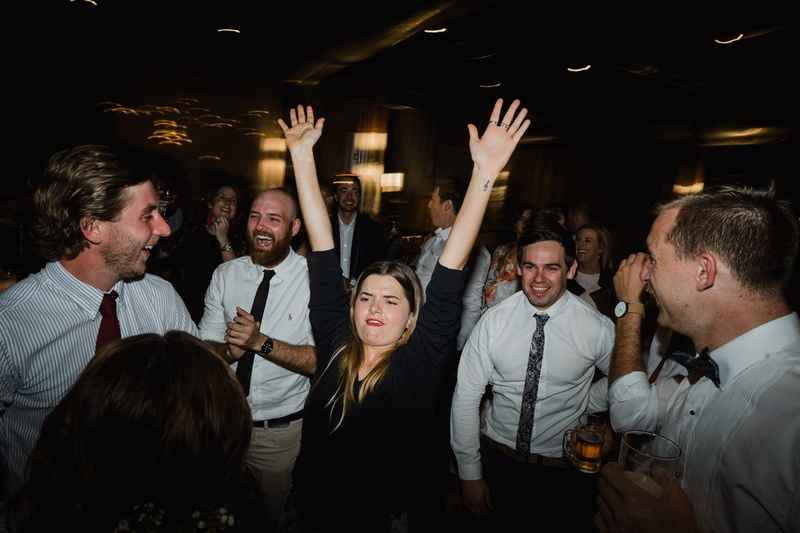 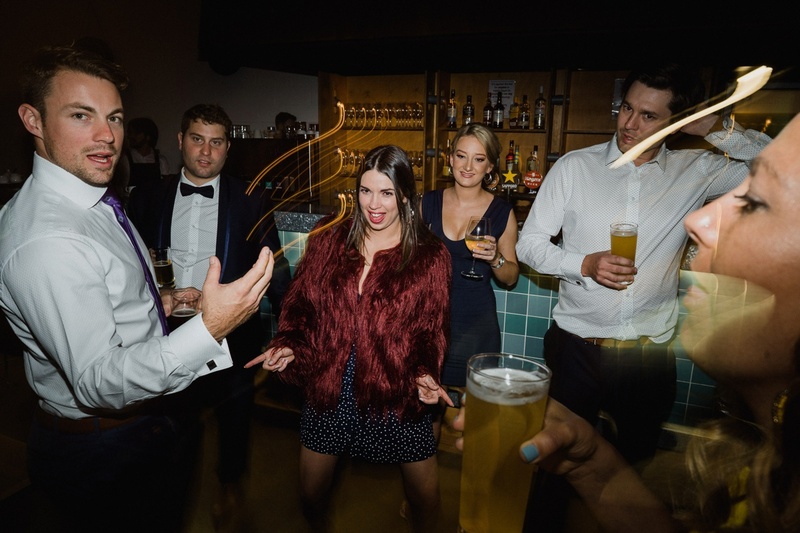 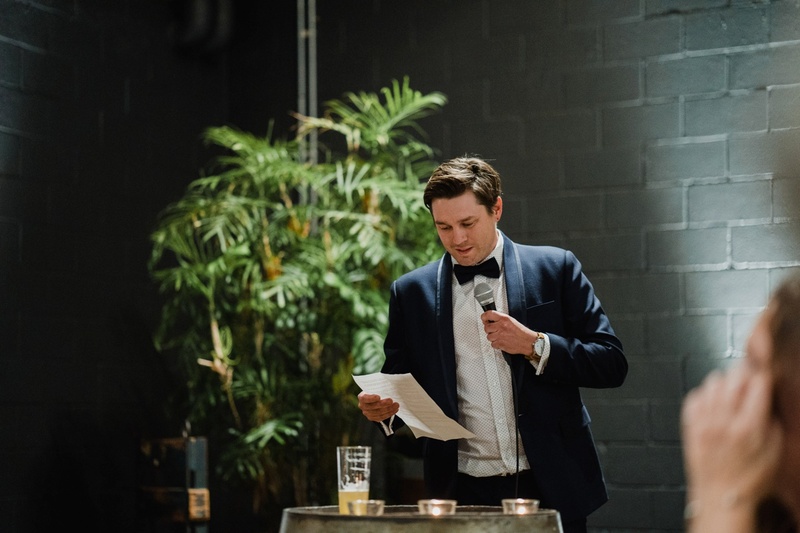 The groom DJ set, full of great dance floor bangers. 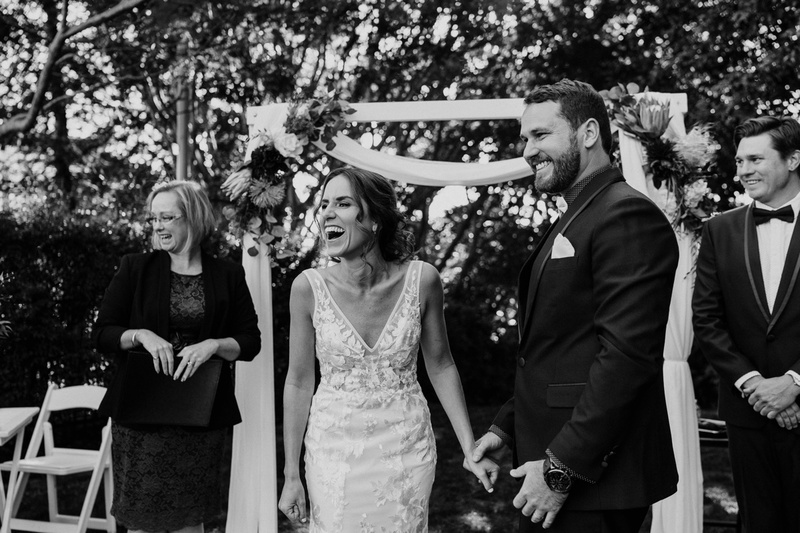 And honestly just the fun, happiness and joy shared with our bridal party and you getting such candid photos with such ease. 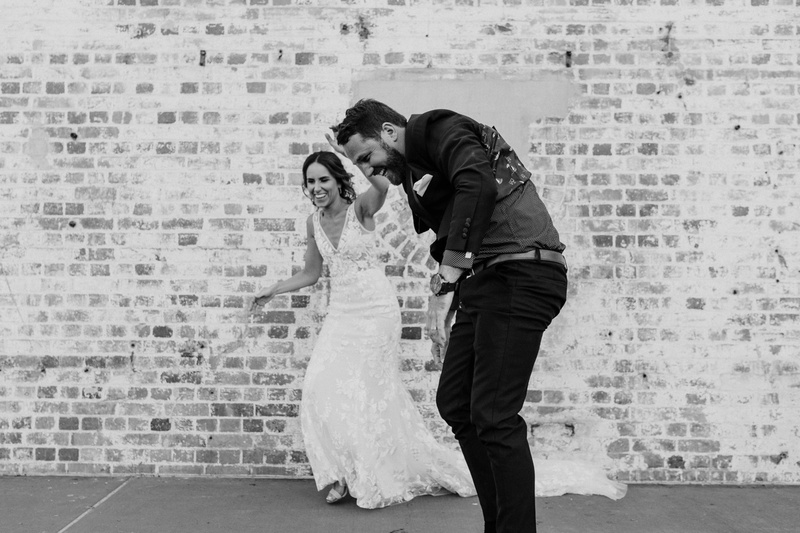 This list could go on and on but we’ll leave it there. 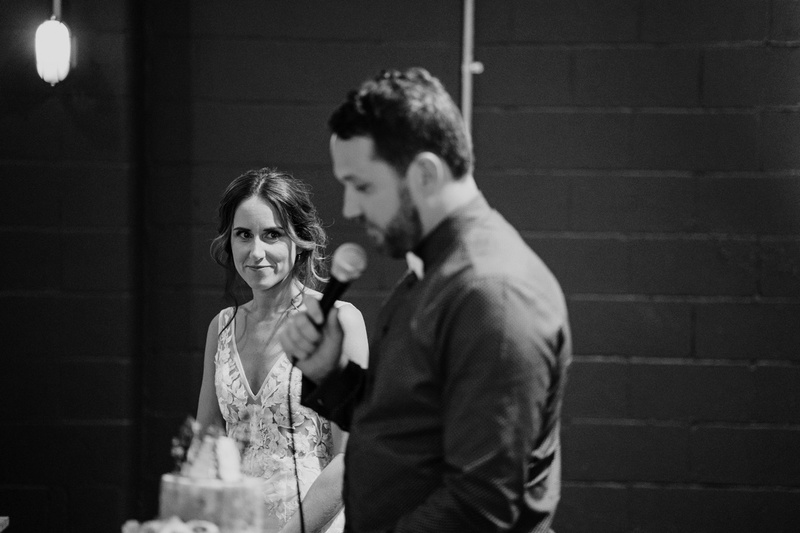 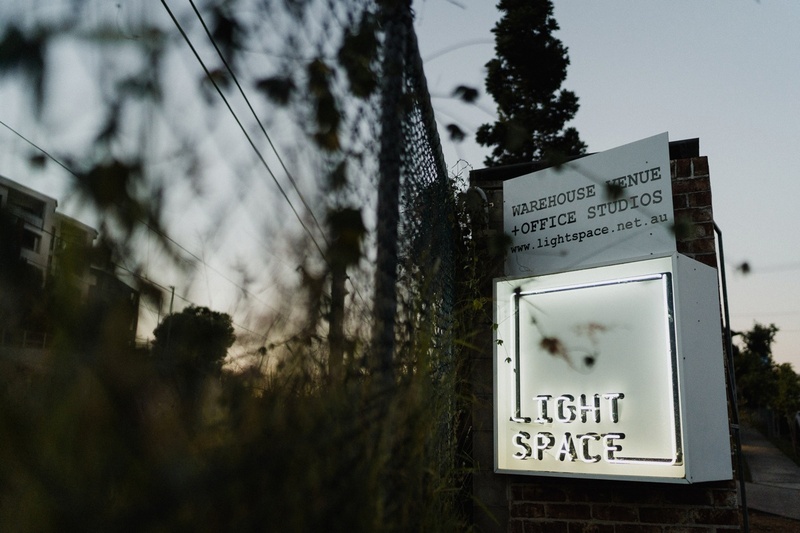 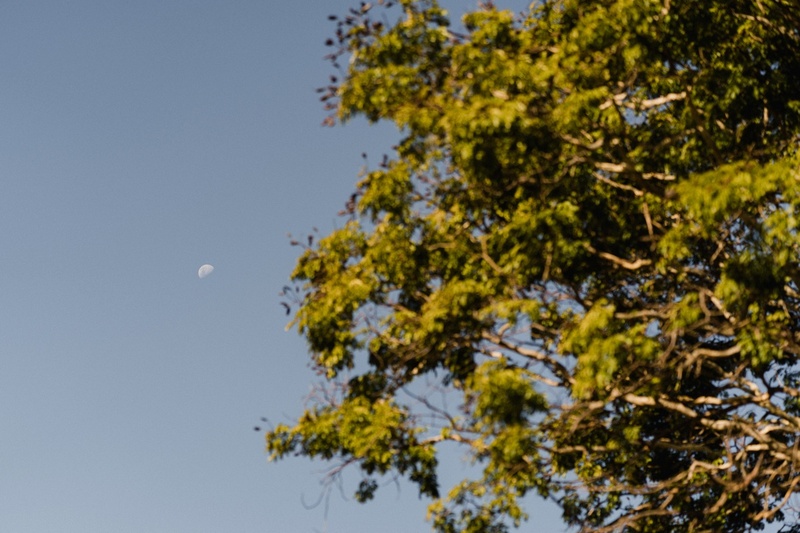 Why did you choose Lightspace as your venue? 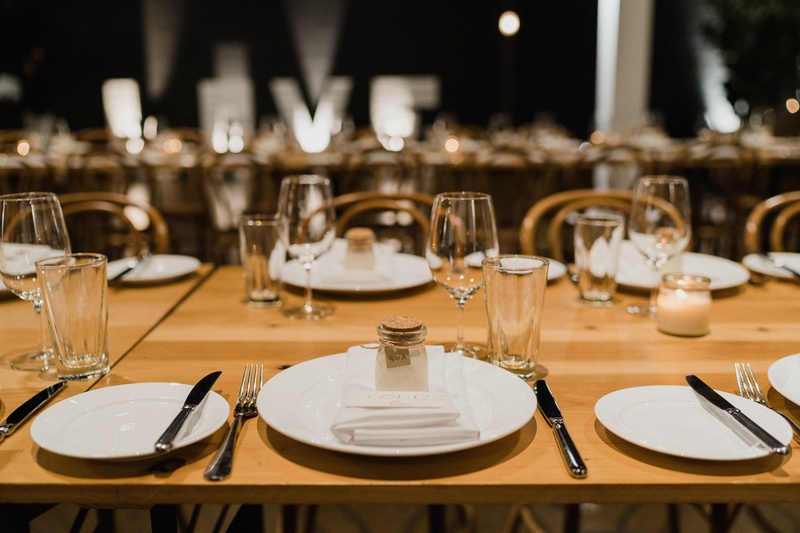 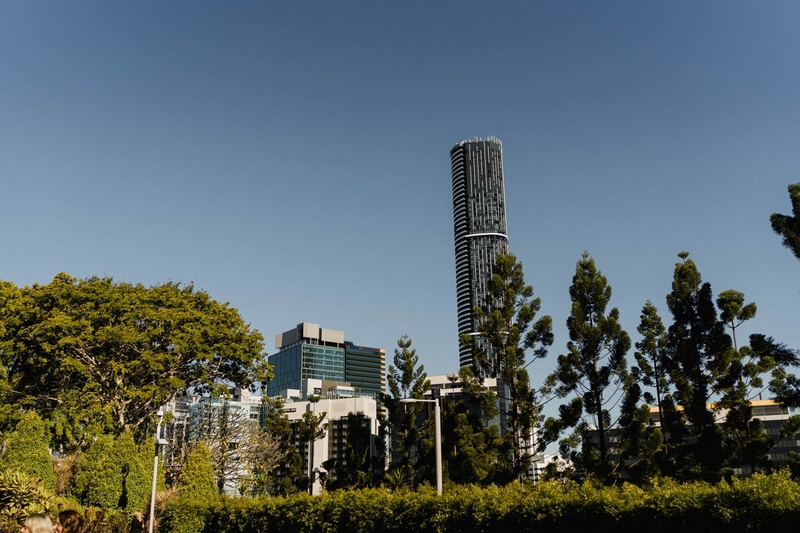 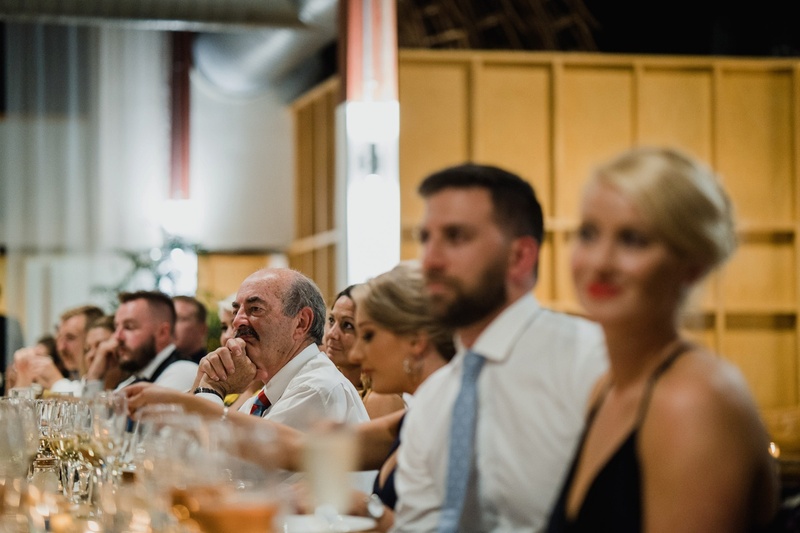 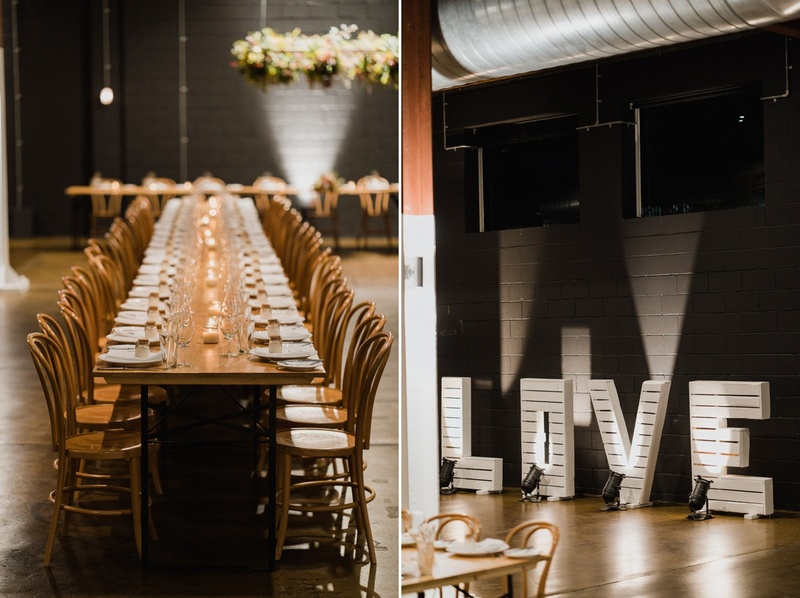 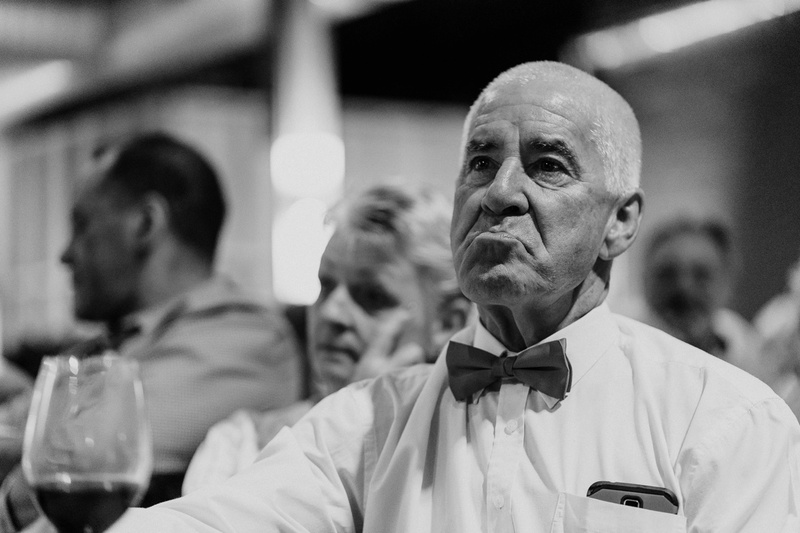 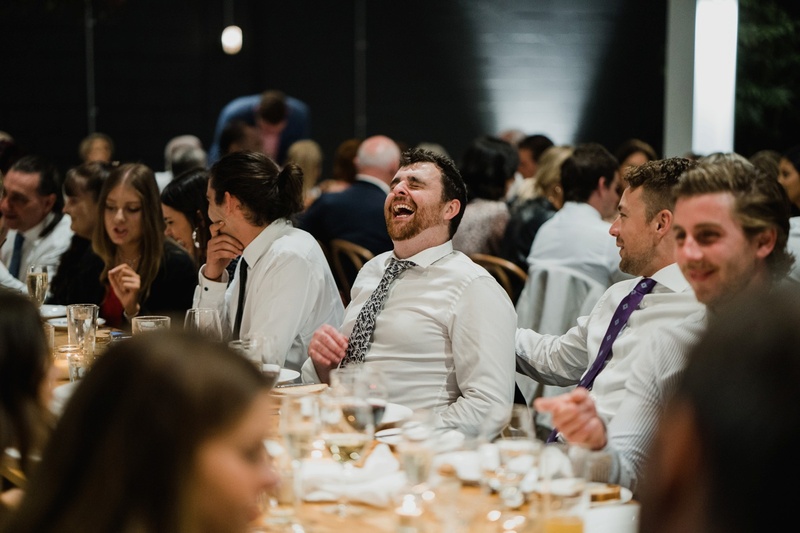 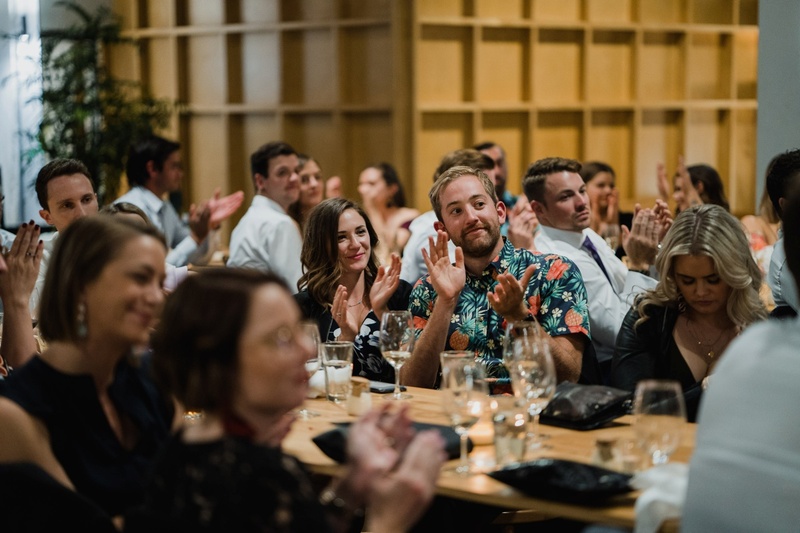 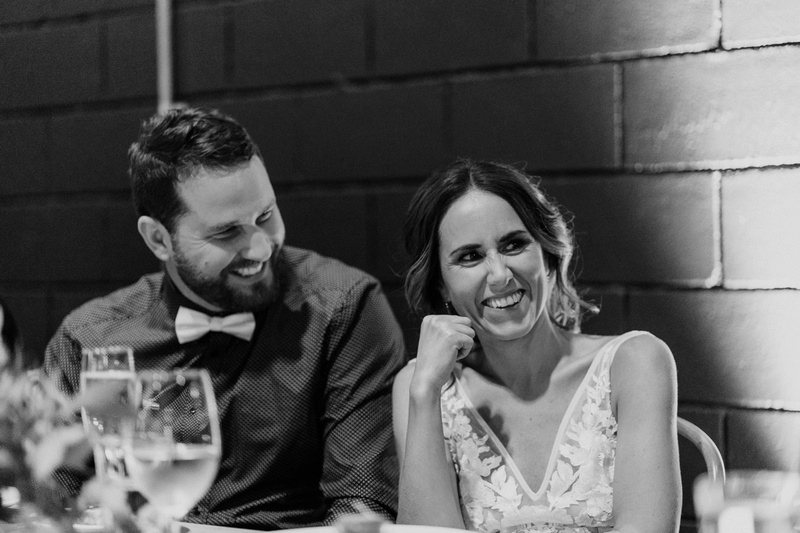 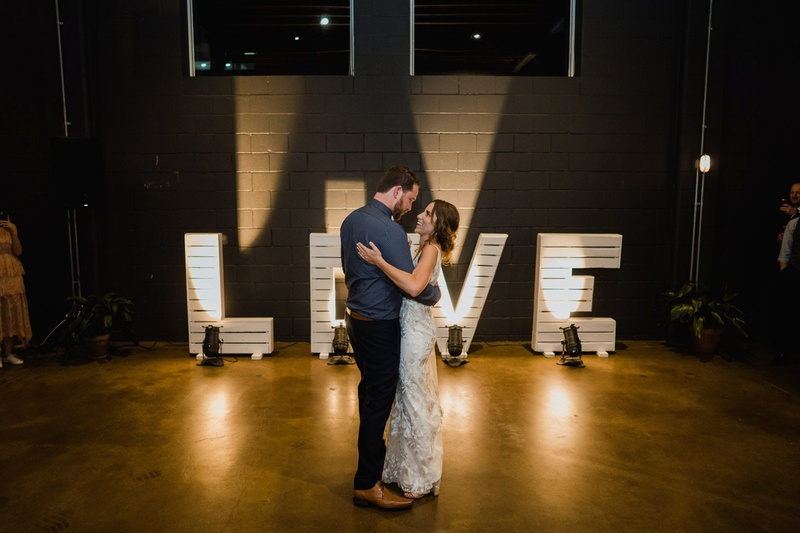 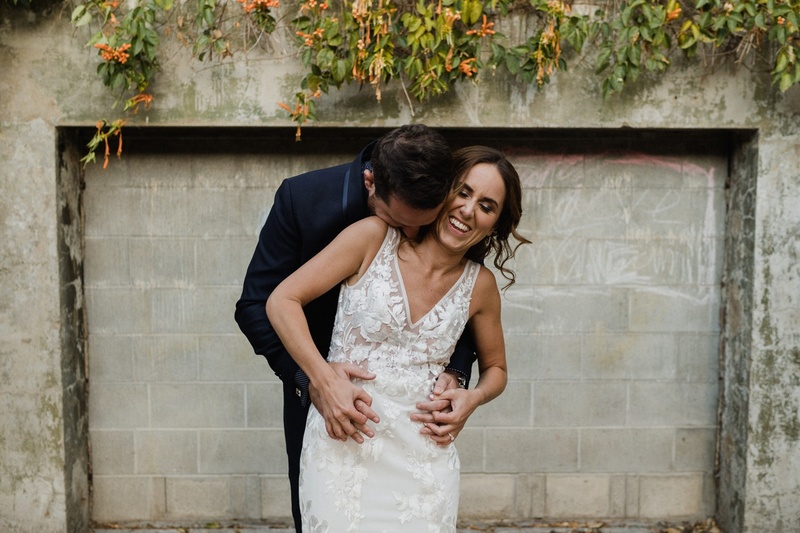 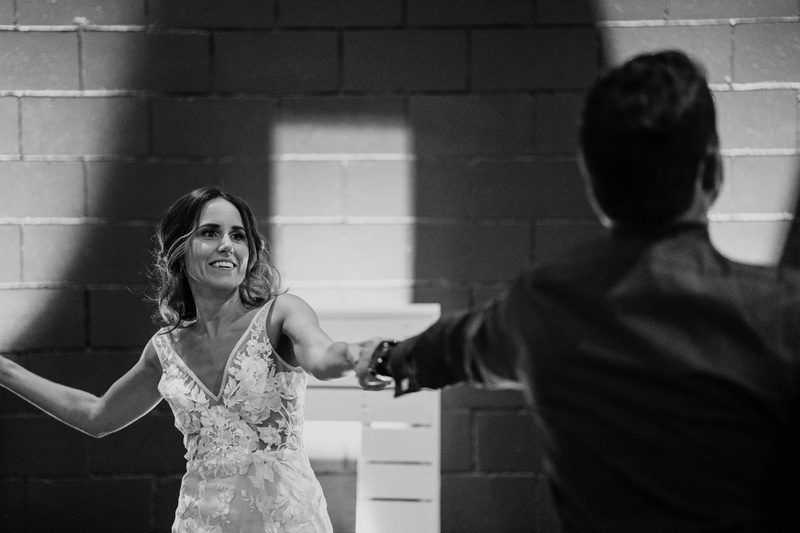 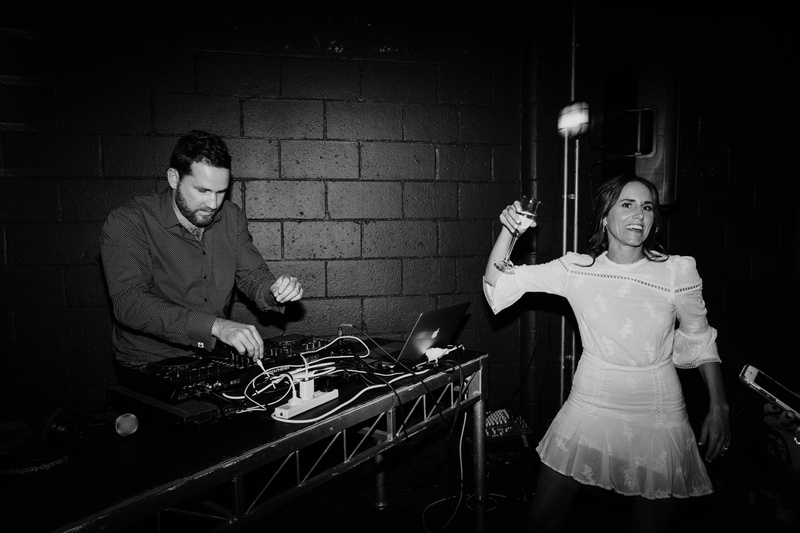 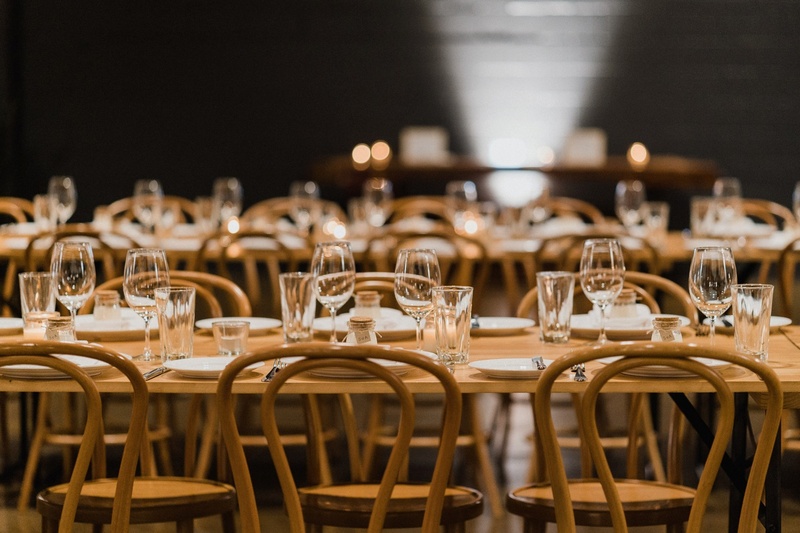 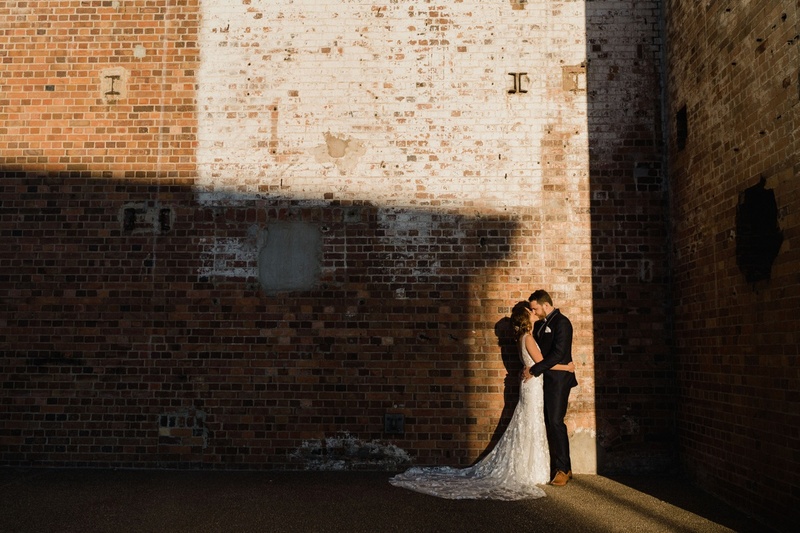 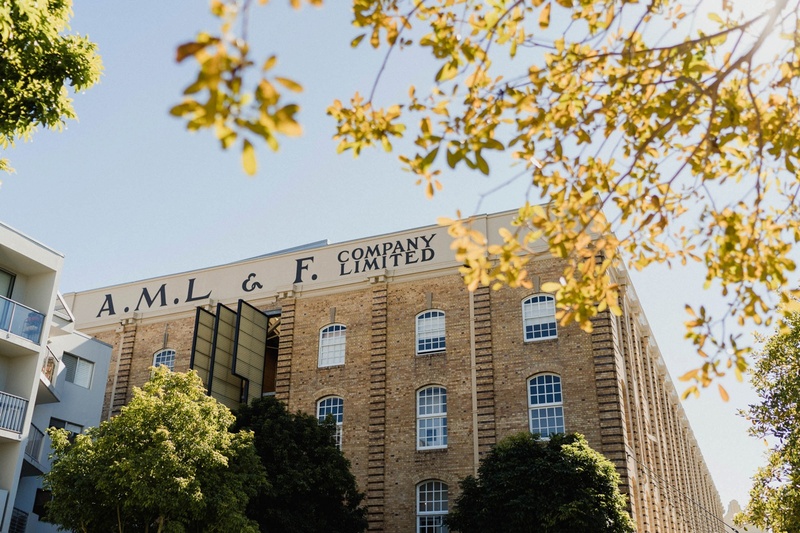 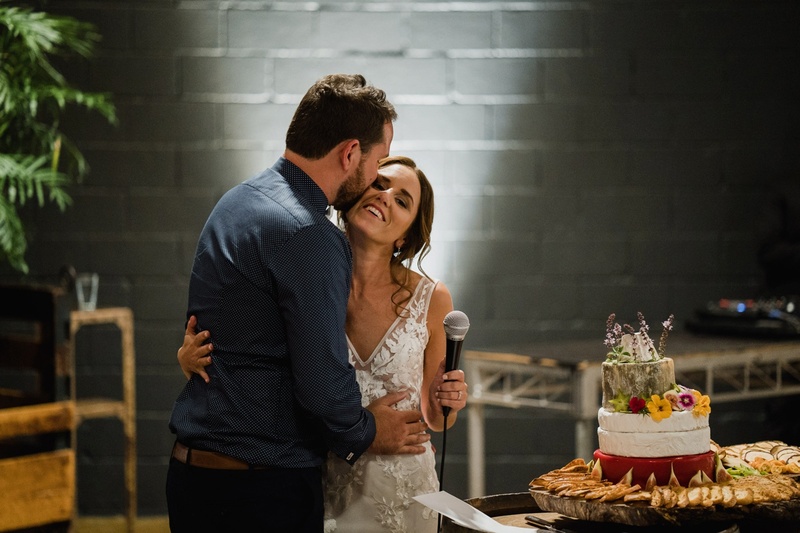 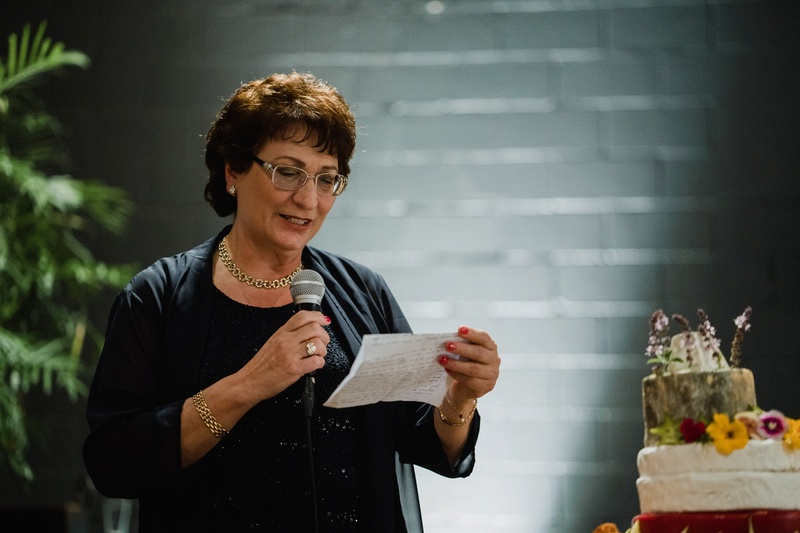 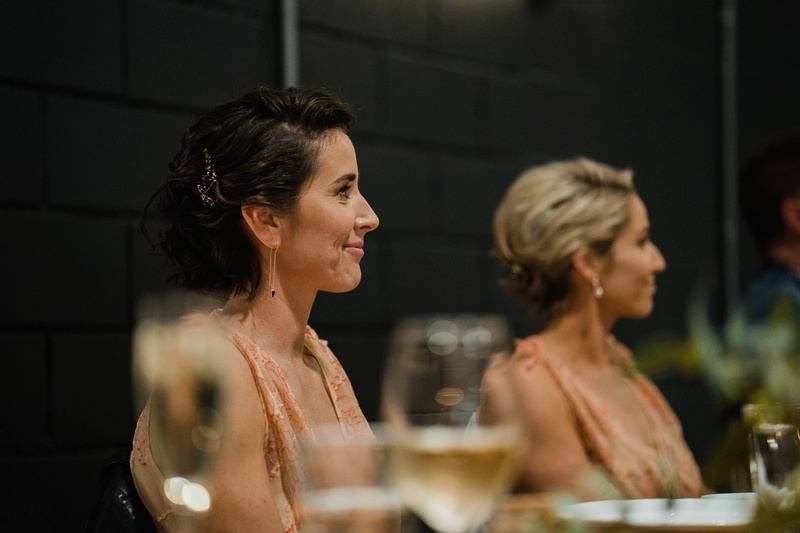 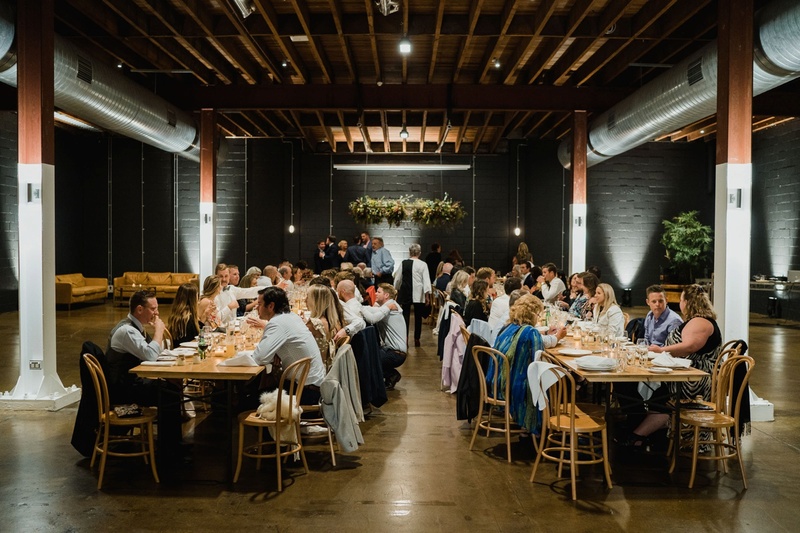 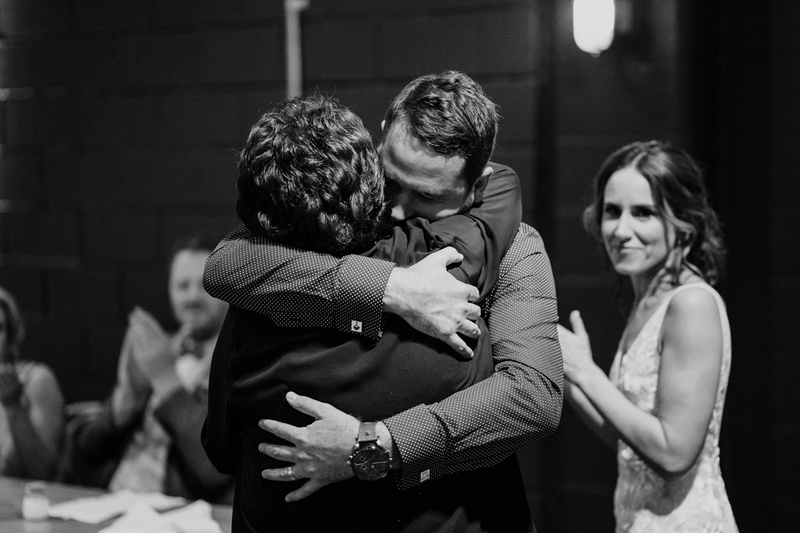 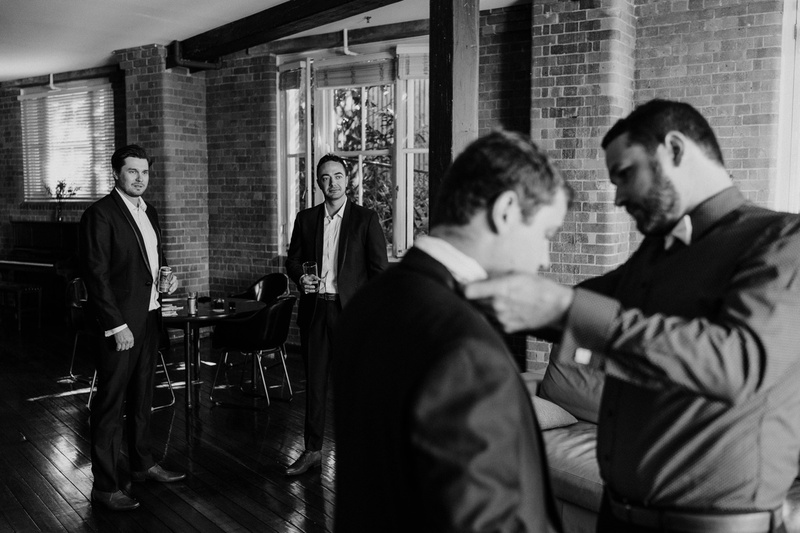 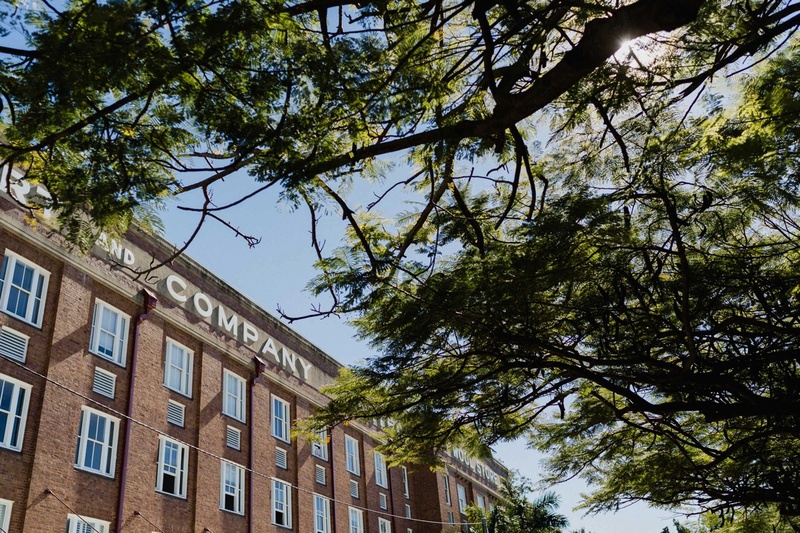 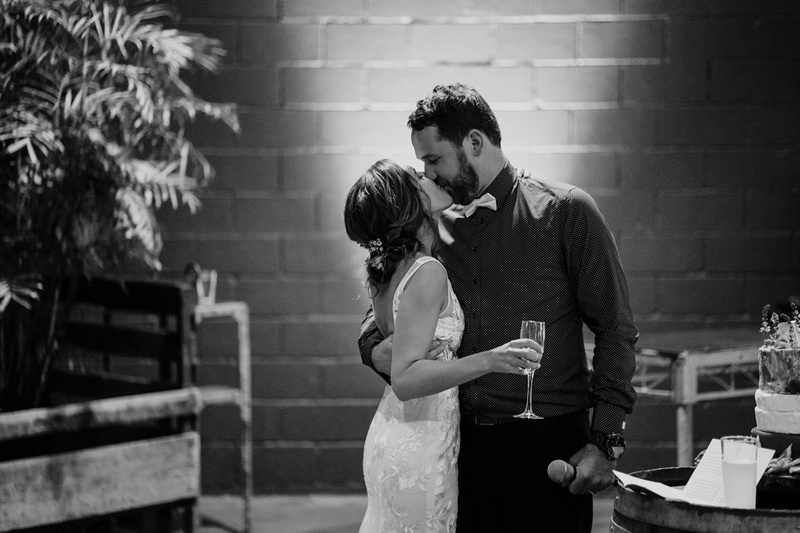 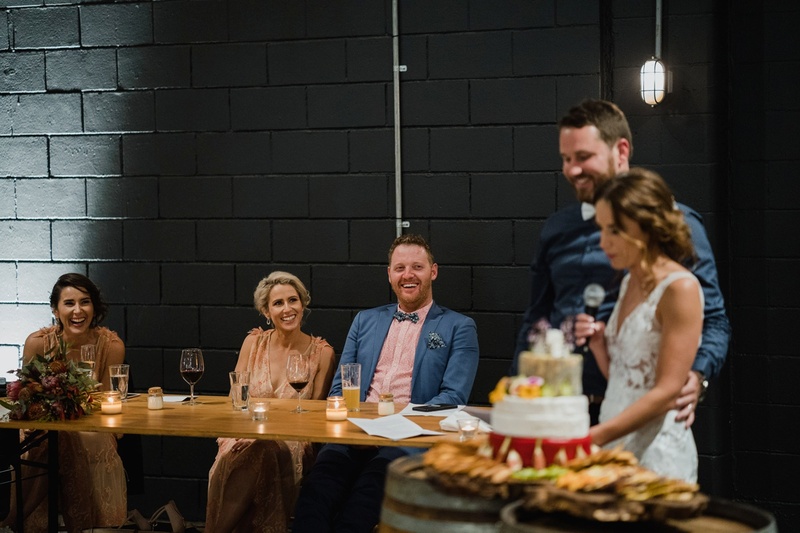 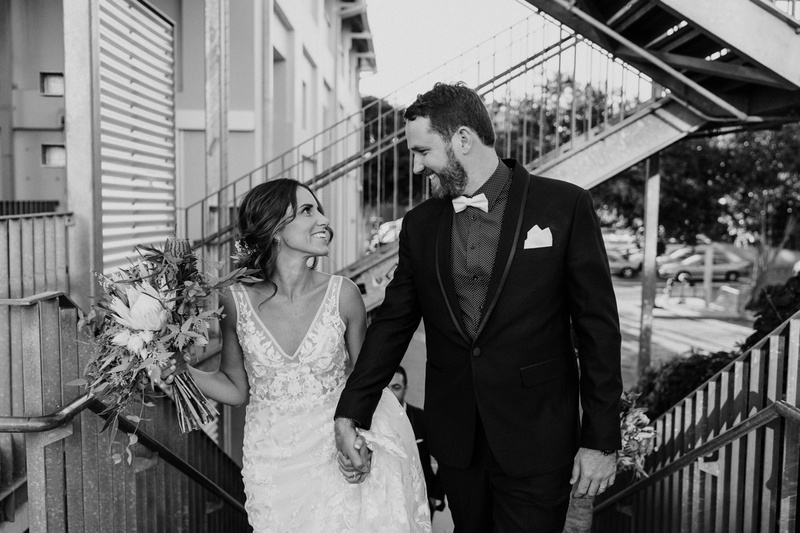 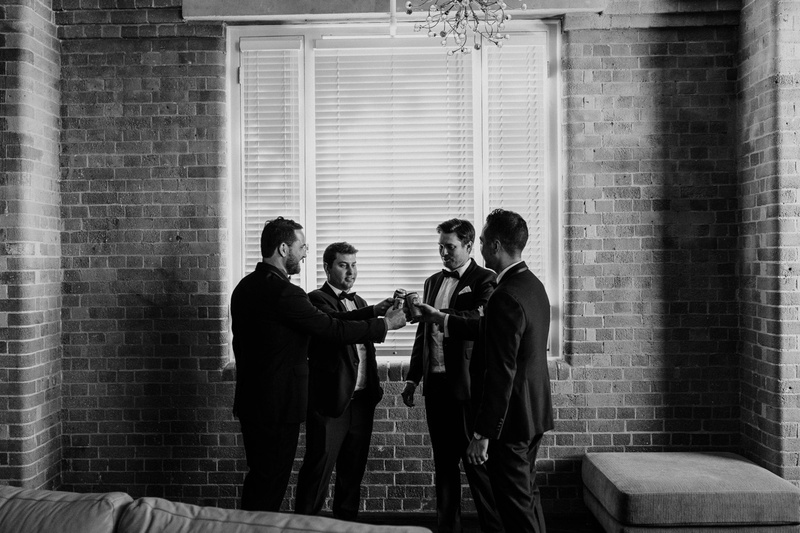 We chose Lightspace because it was a great warehouse style building that offered a beautiful venue in the heart of Brisbane. 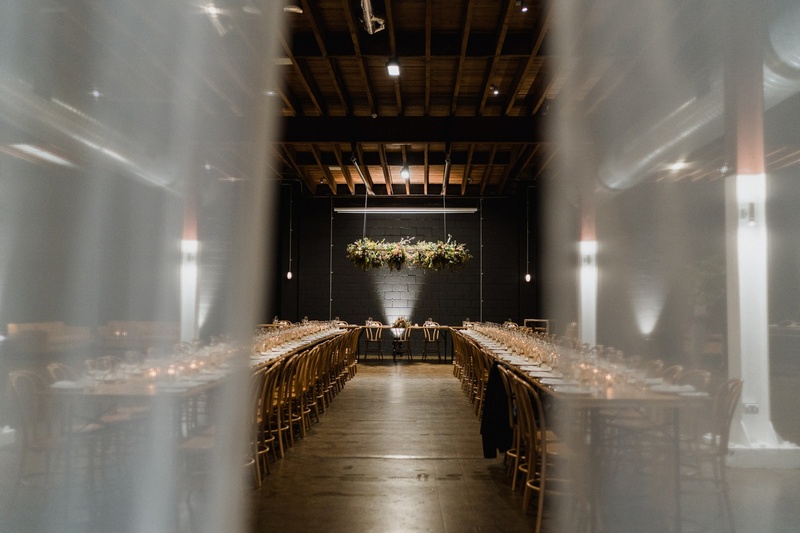 Also, it was cost effective, enabled us to design the space we wanted, use vendors we wanted and really make a unique wedding that fit our style. 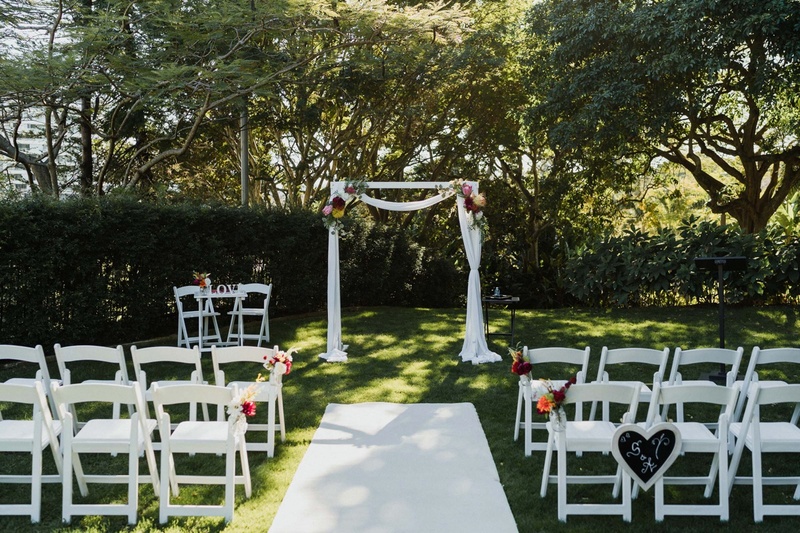 They offered a variety of furniture and knowledge on how to make the rooms look special. 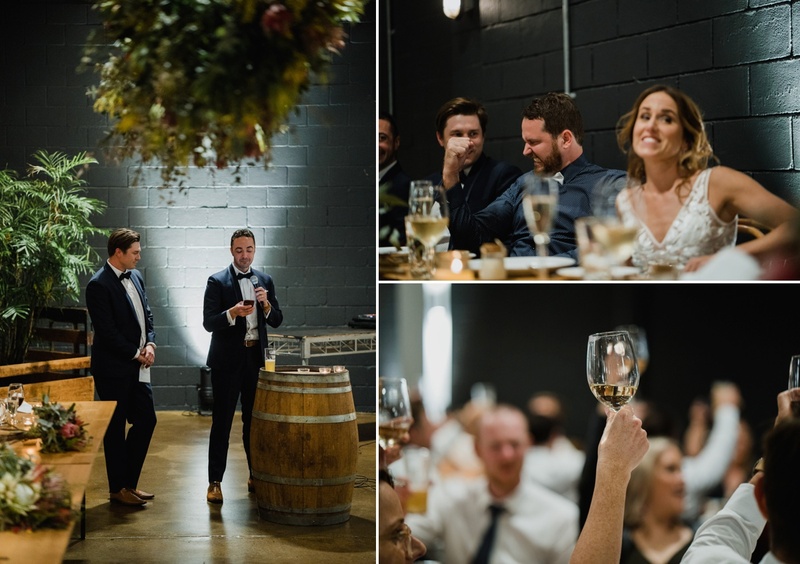 They had a fabulous drink package but also quality relationships with very good food vendors. 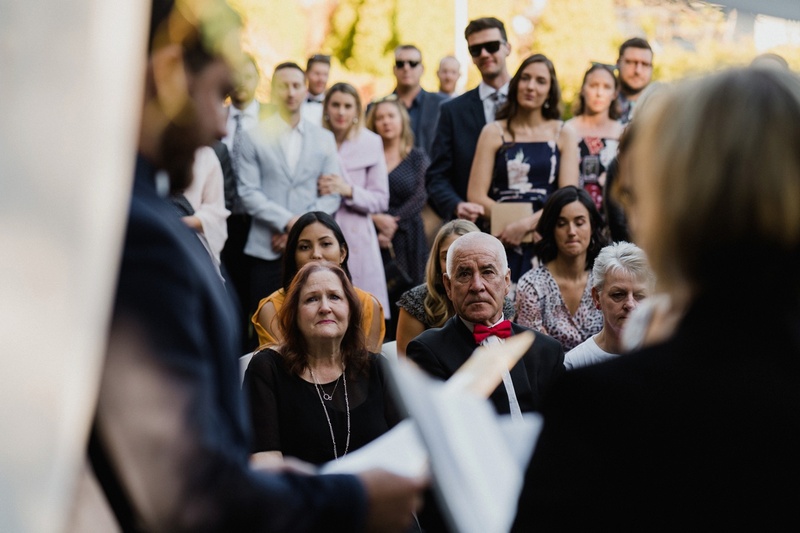 Was it hard to organise a wedding from overseas? 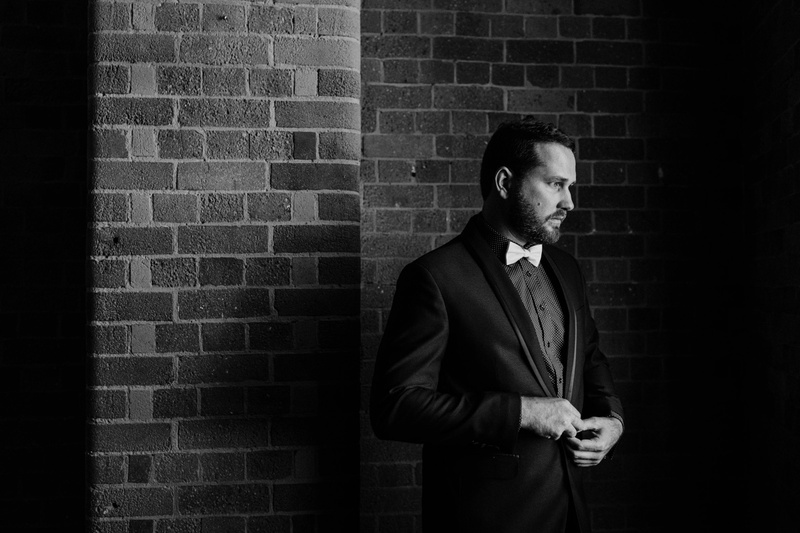 BEN: Yes and no. 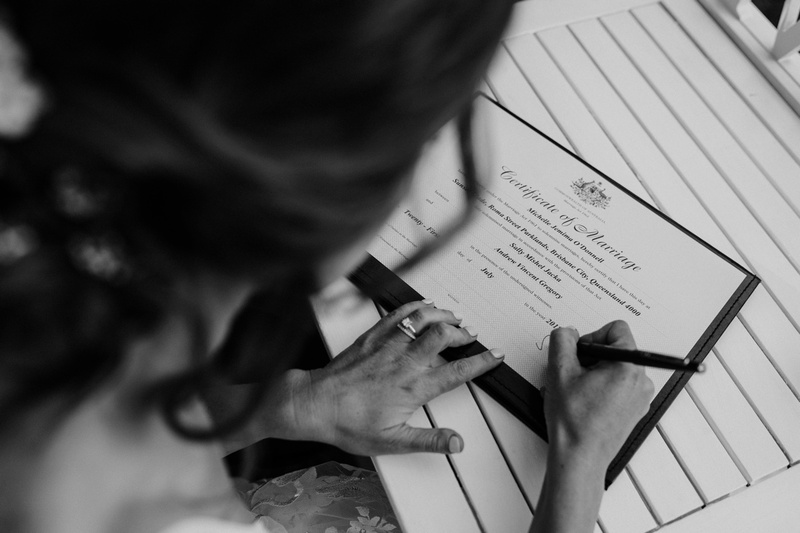 Sally is a very organised person and worked tirelessly making arrangements. 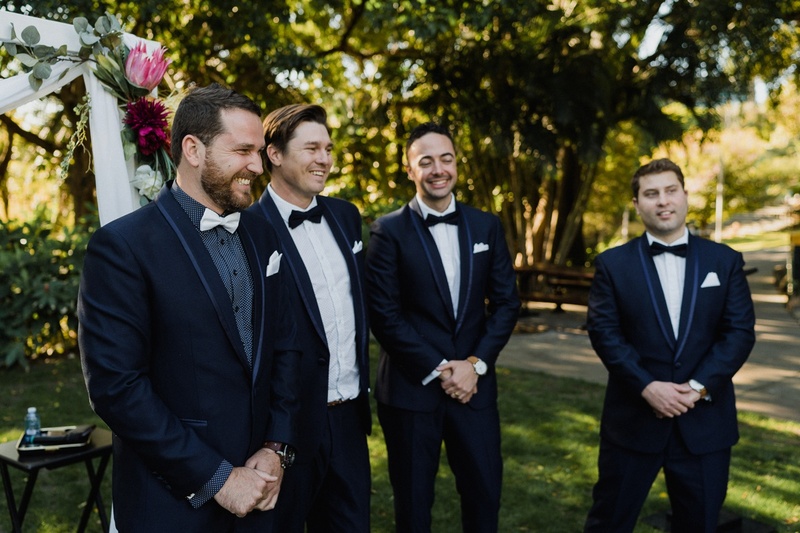 We had the help of very close friends who had recently been married and had done a lot of the same groundwork. 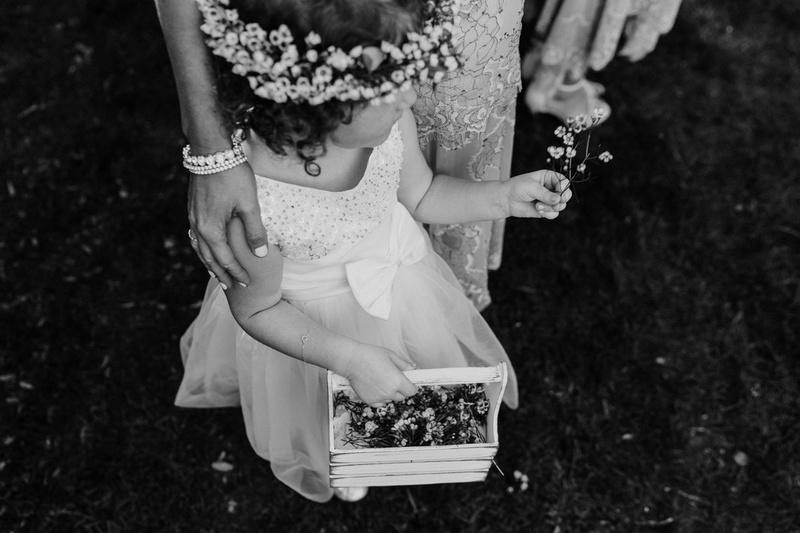 We had parents check out places and we came home twice to confirm a few of the big ticket items. 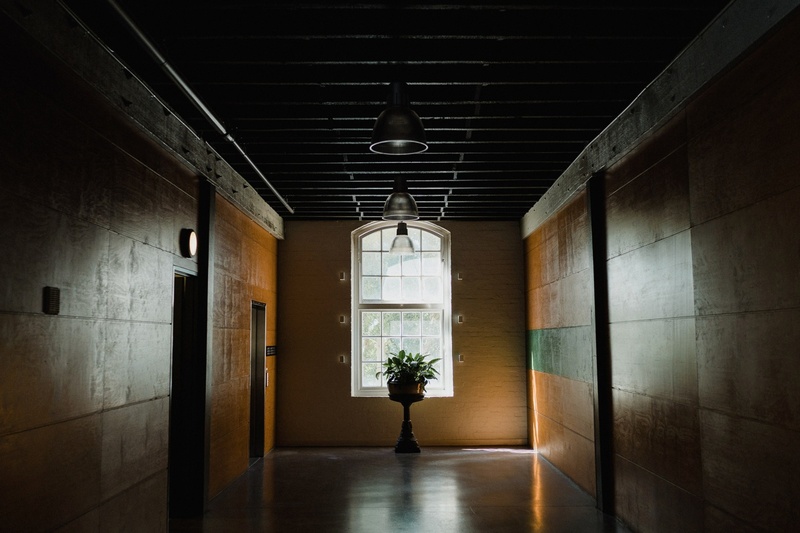 Once the main parts were cemented, we were able to effectively communicate through email. 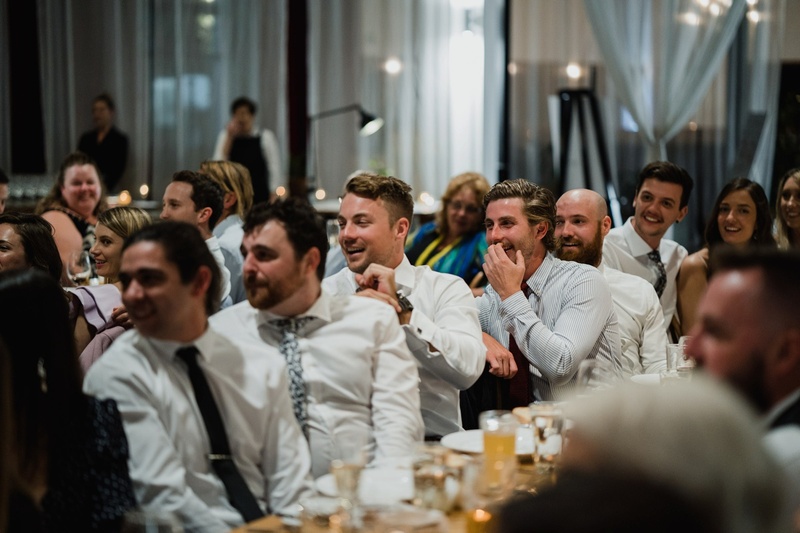 If we didn’t have some of the friends and family helping, we could have still done it, however the stress levels would have increased. 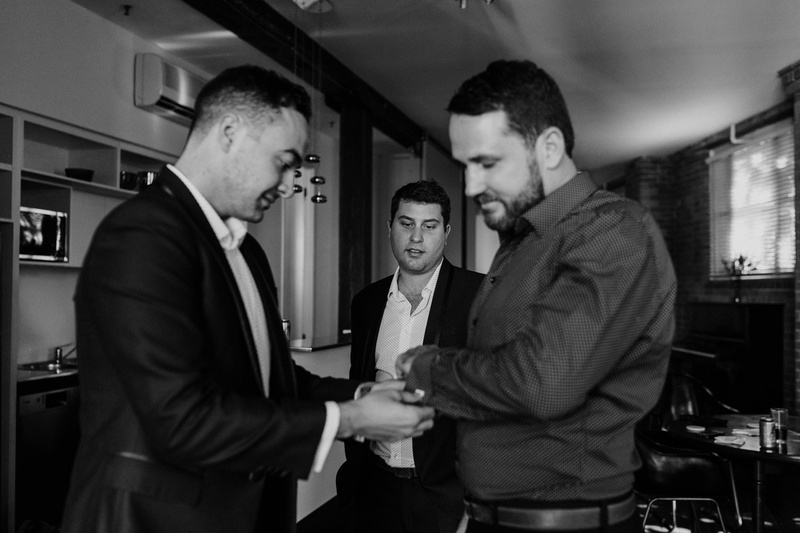 Living overseas also forced us to make executive decisions and roll with the punches. 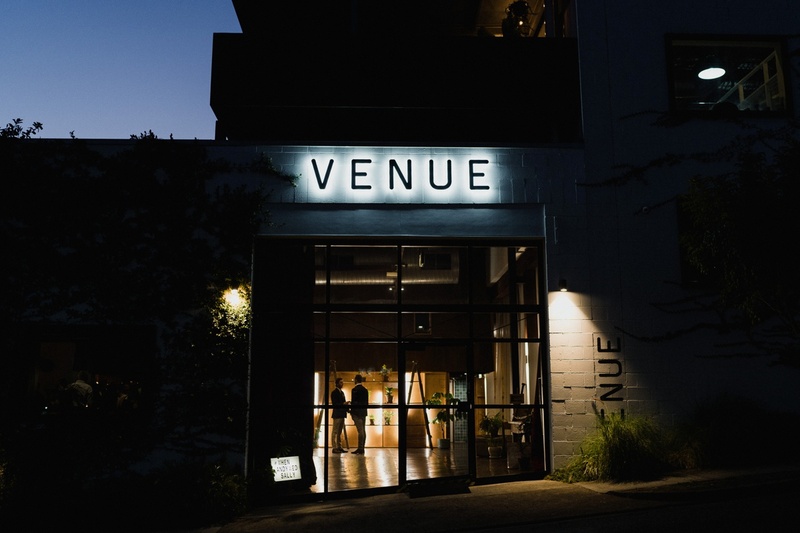 We didn’t have time to see 100 venues and critique each. 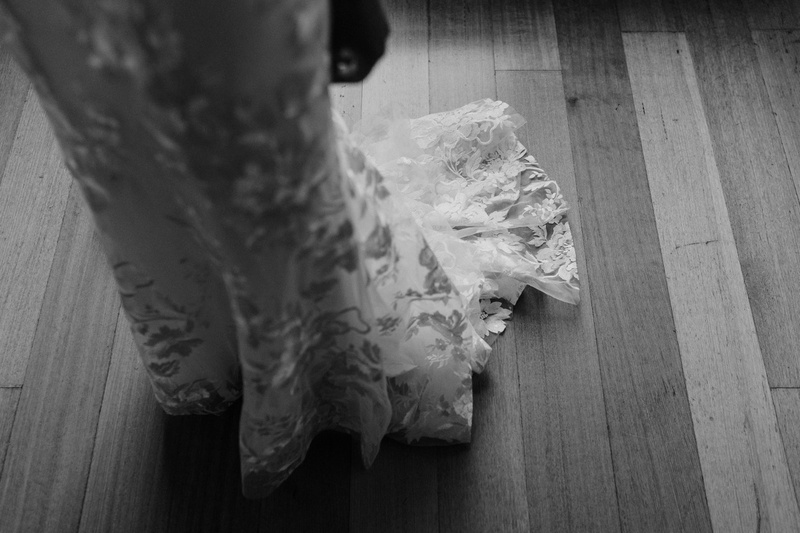 We knew what we wanted and made the decisions. 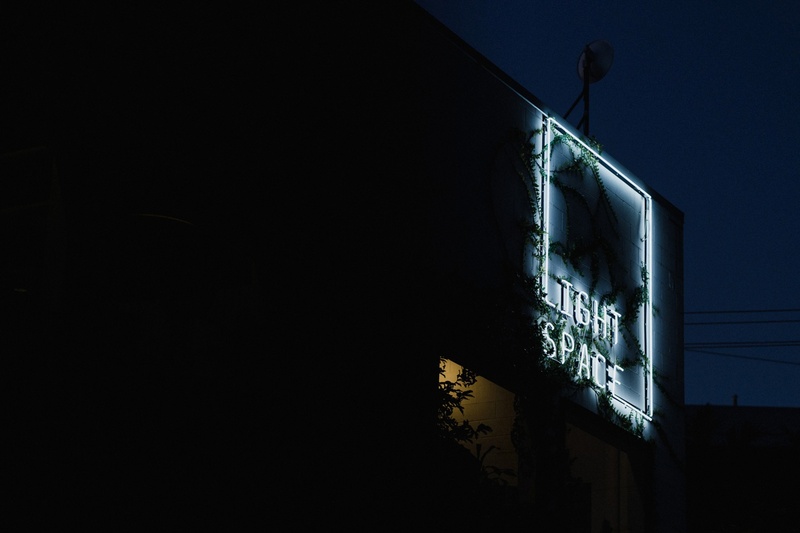 In saying that, after selecting Lightspace, we chose florists and catering companies that had worked with Lightspace. 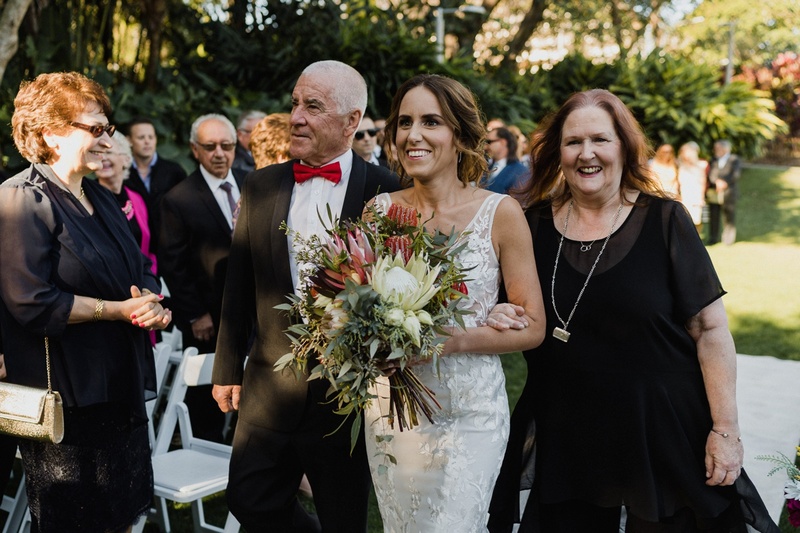 Similarly, we used a celebrant and ceremony stylist that had worked with and knew the ins and outs of the Roma street parklands. 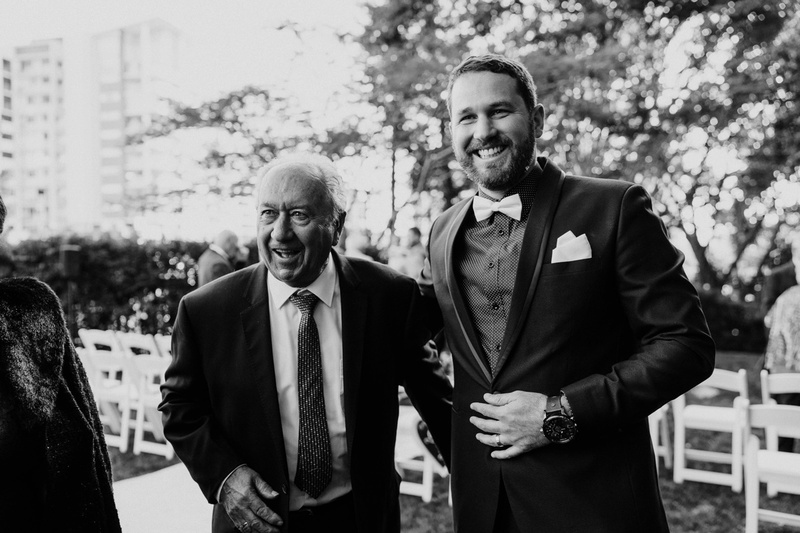 Thanks for looking through this blog, it means a lot. 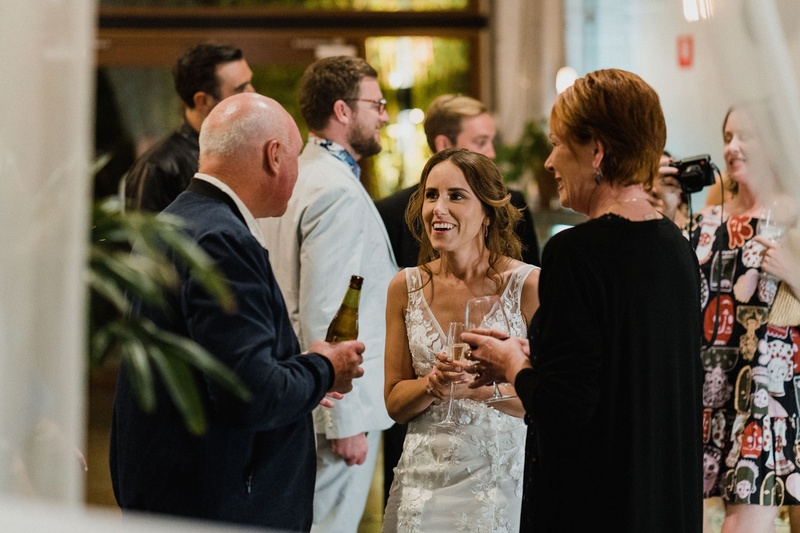 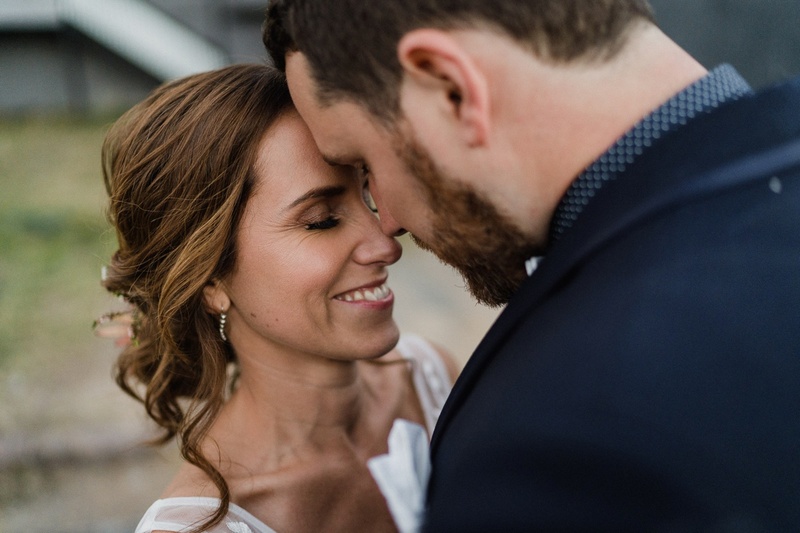 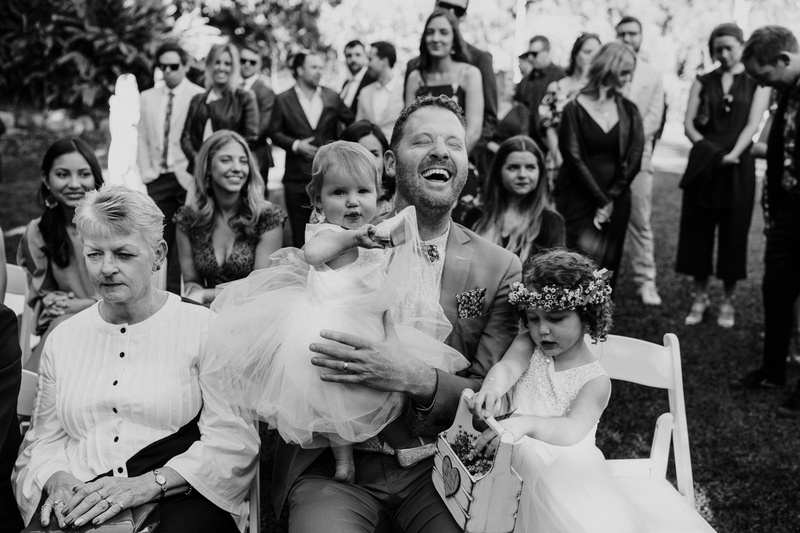 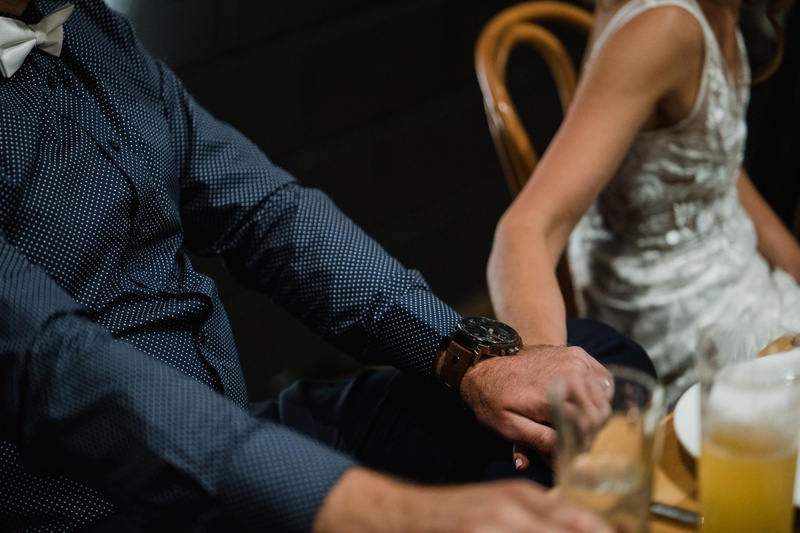 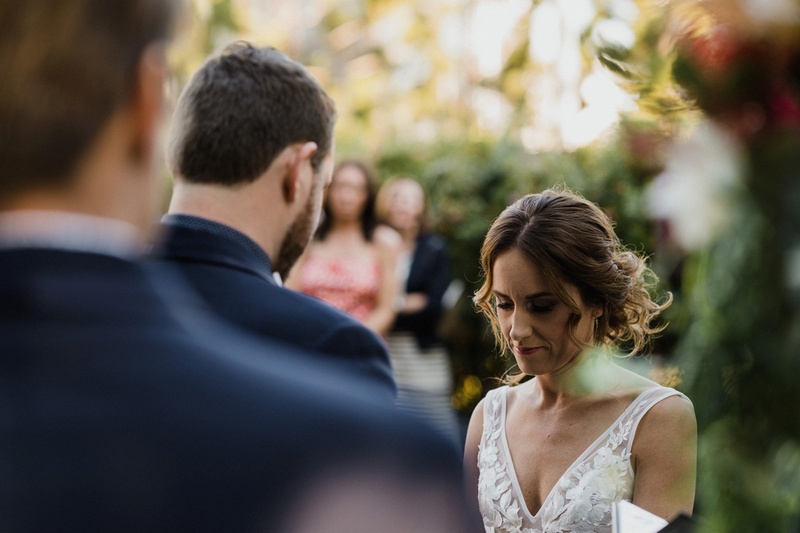 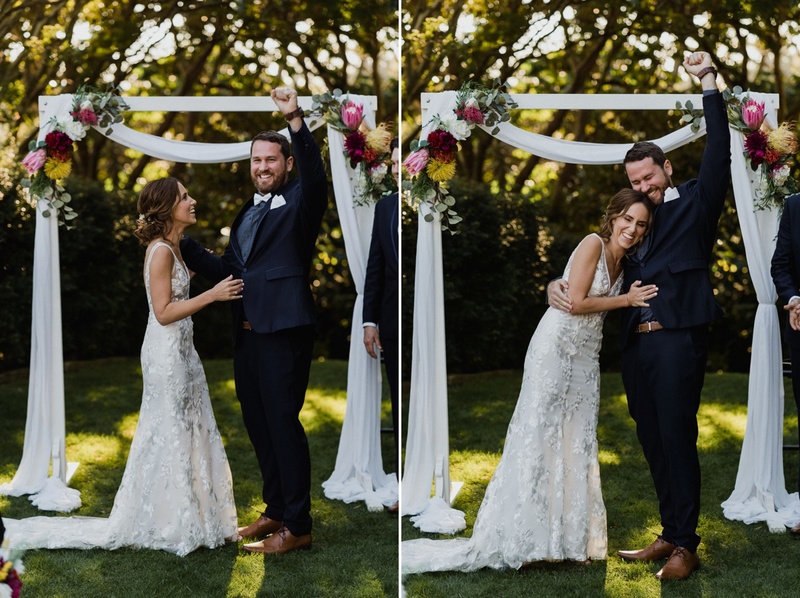 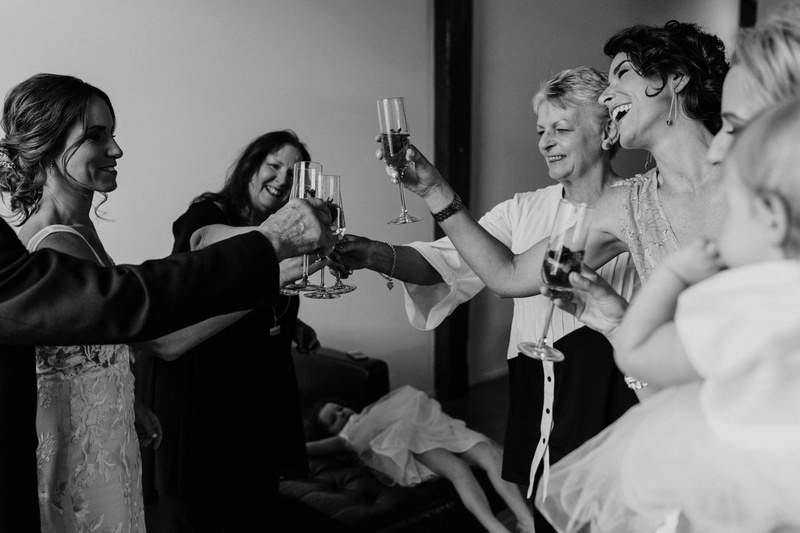 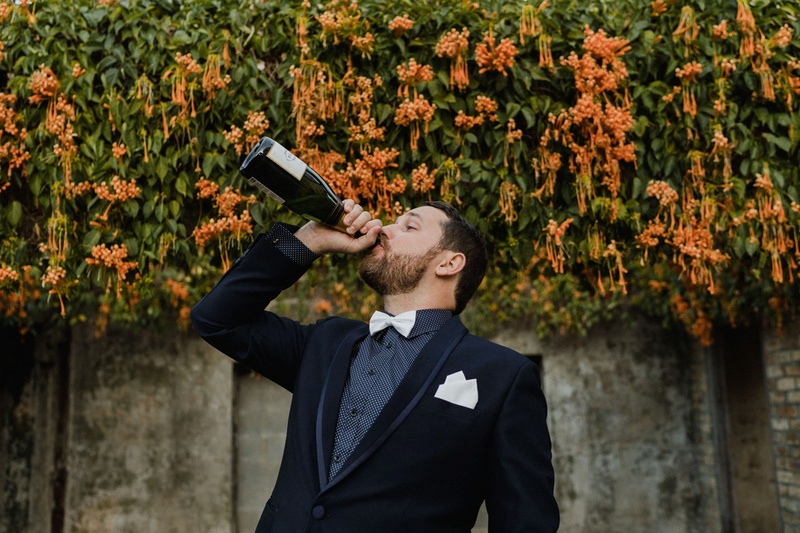 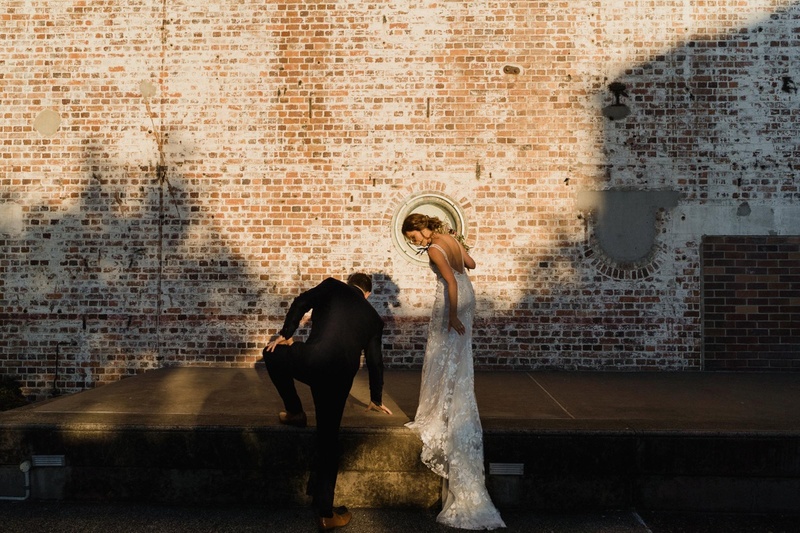 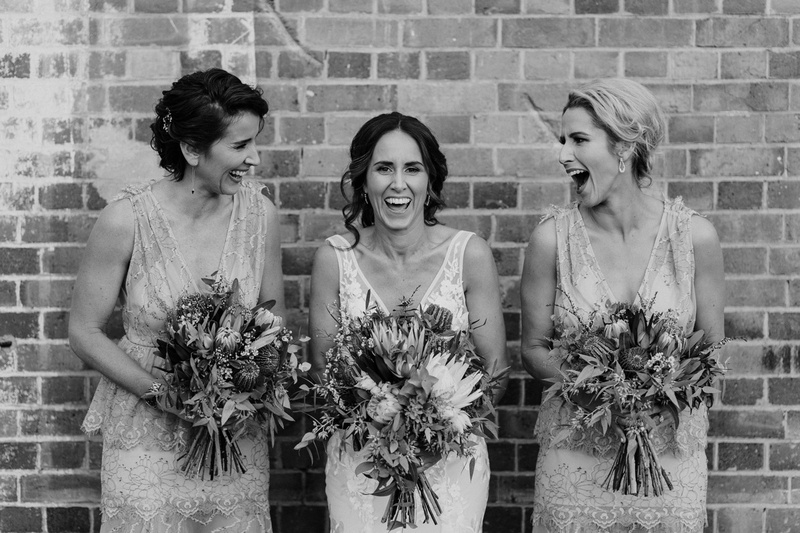 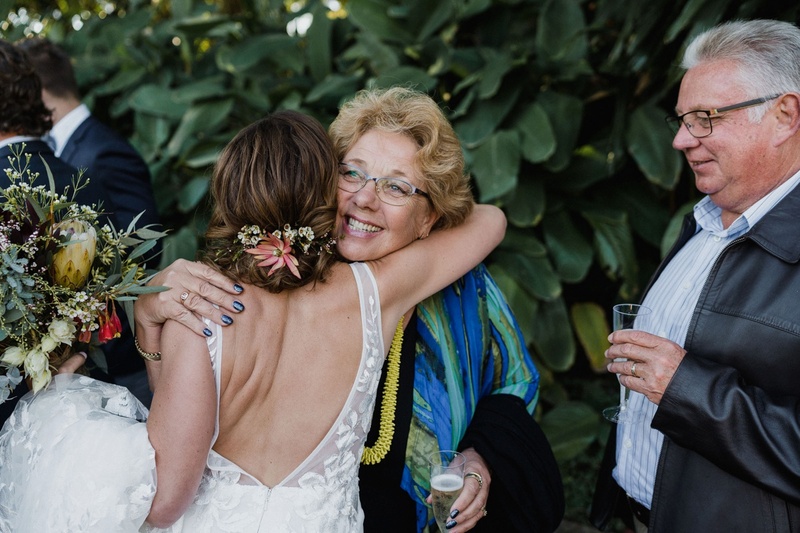 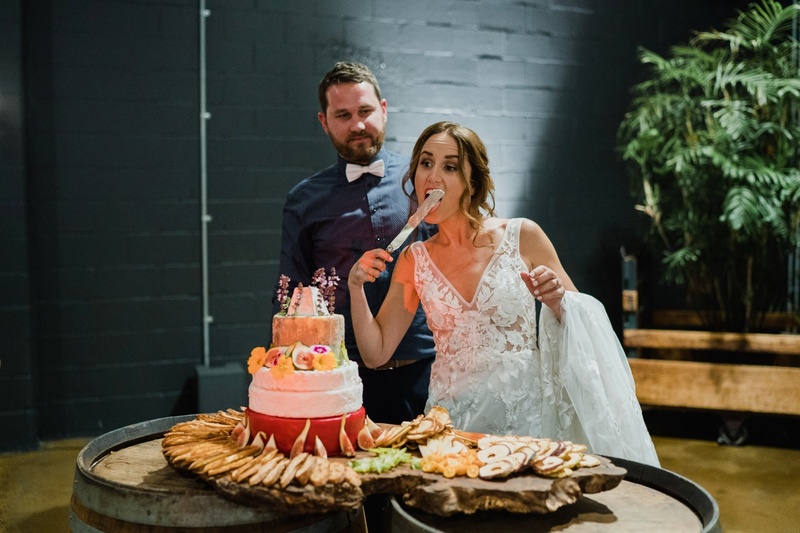 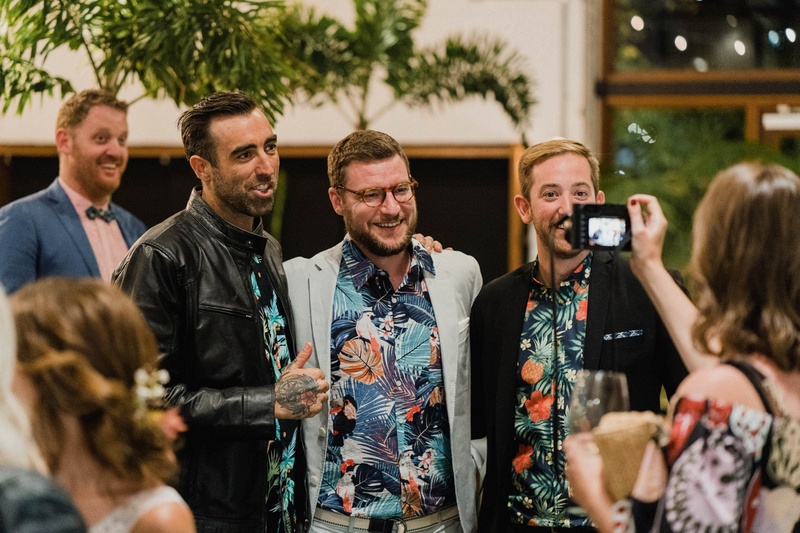 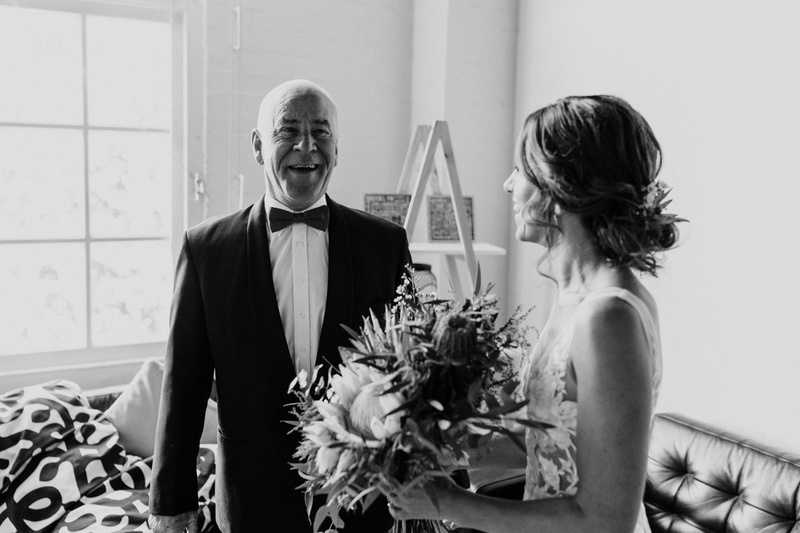 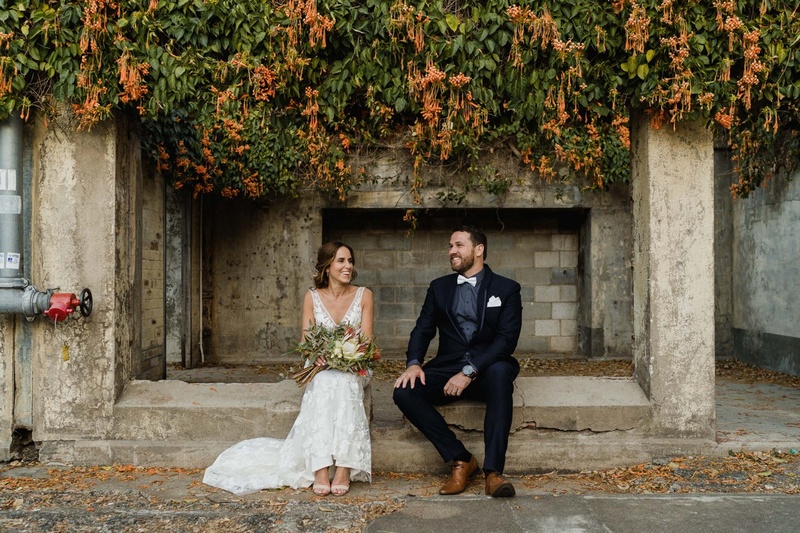 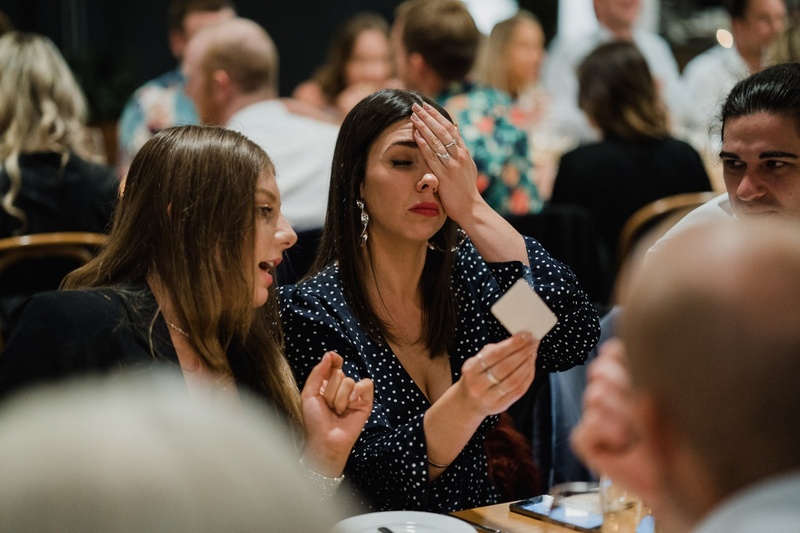 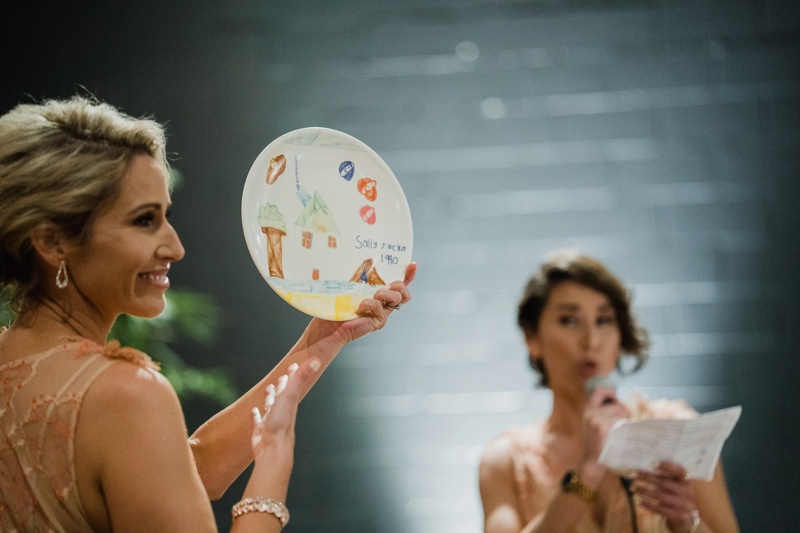 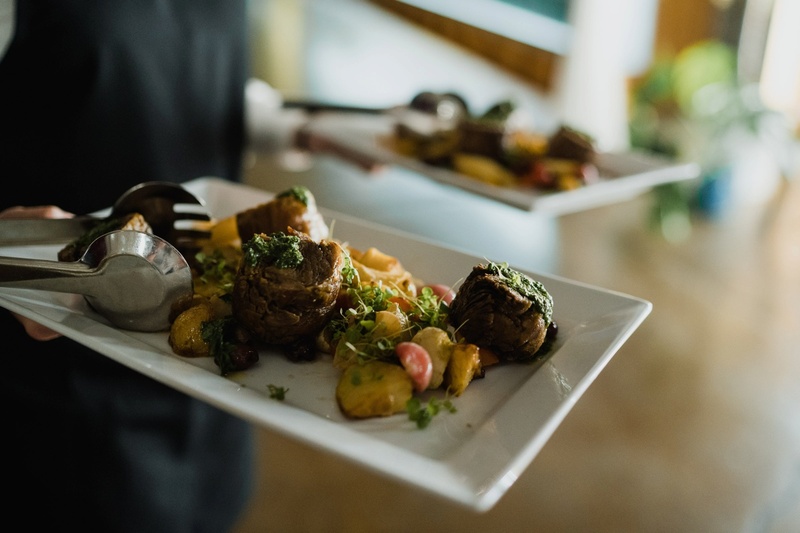 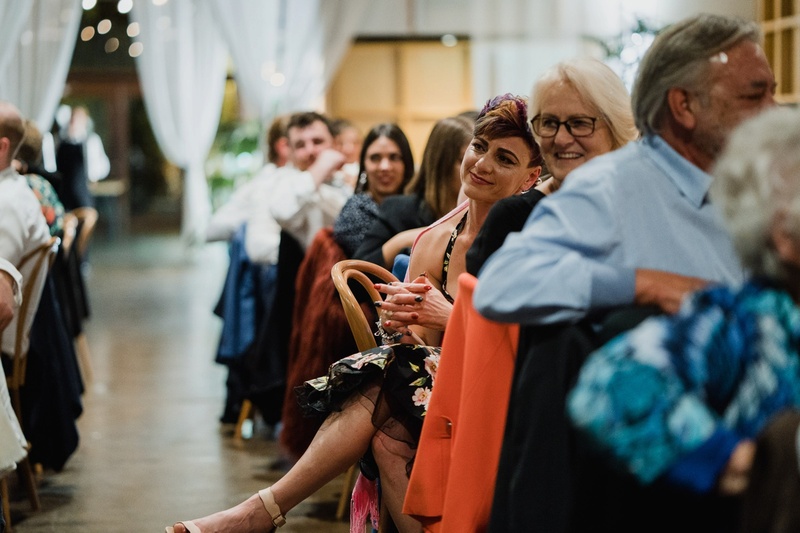 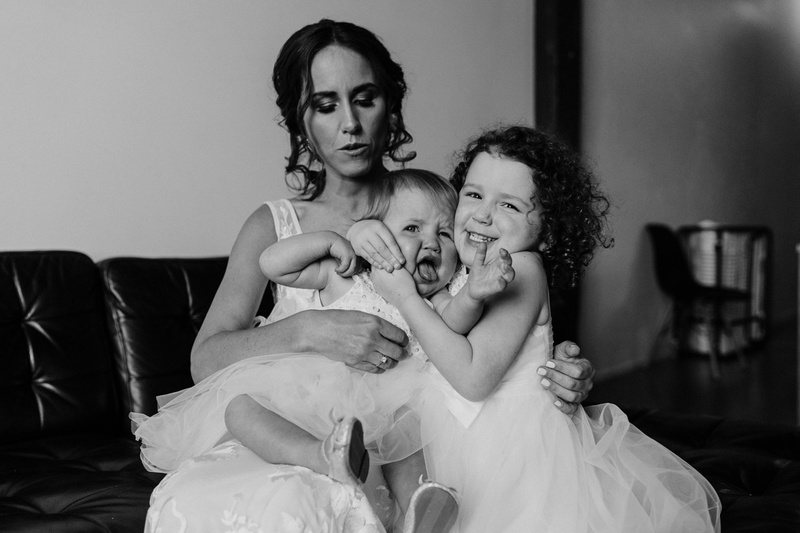 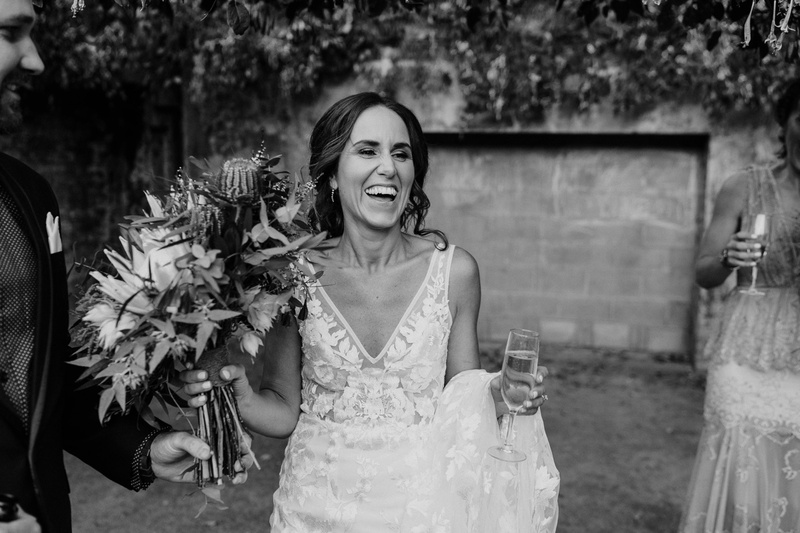 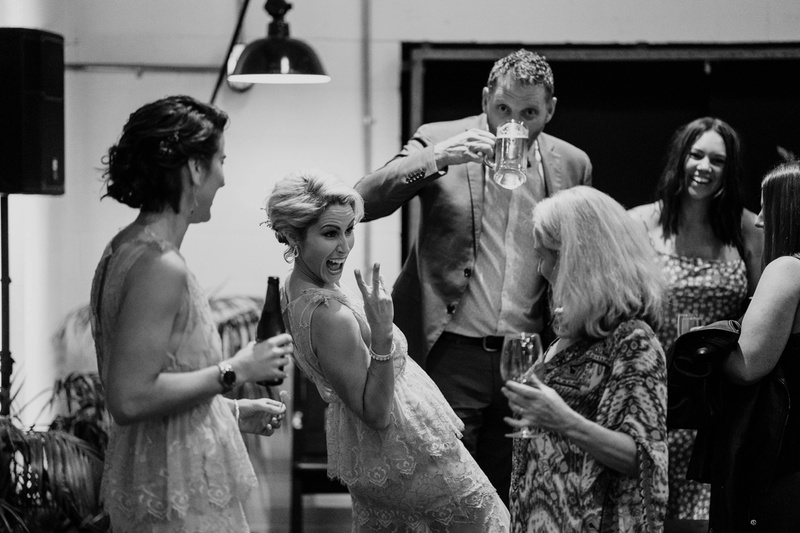 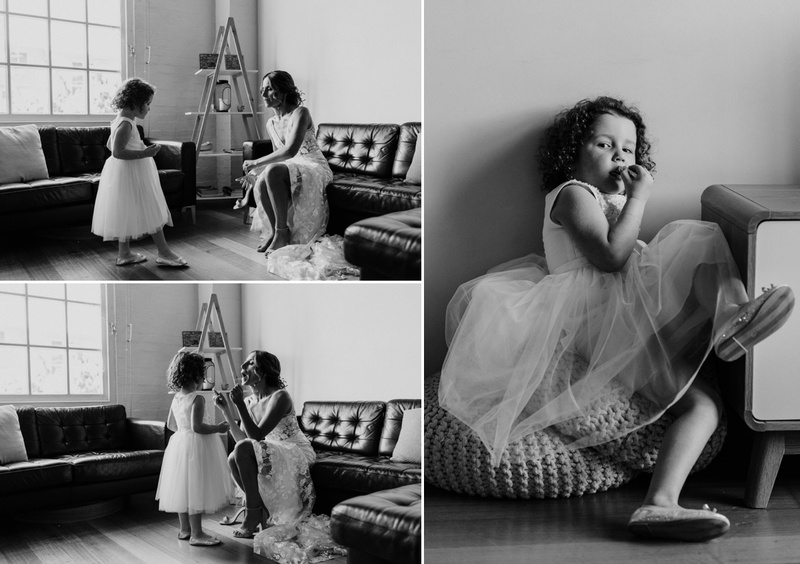 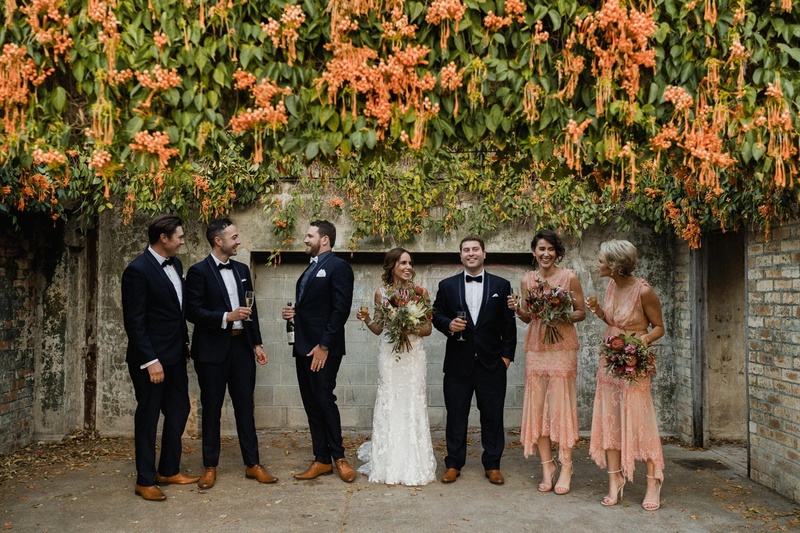 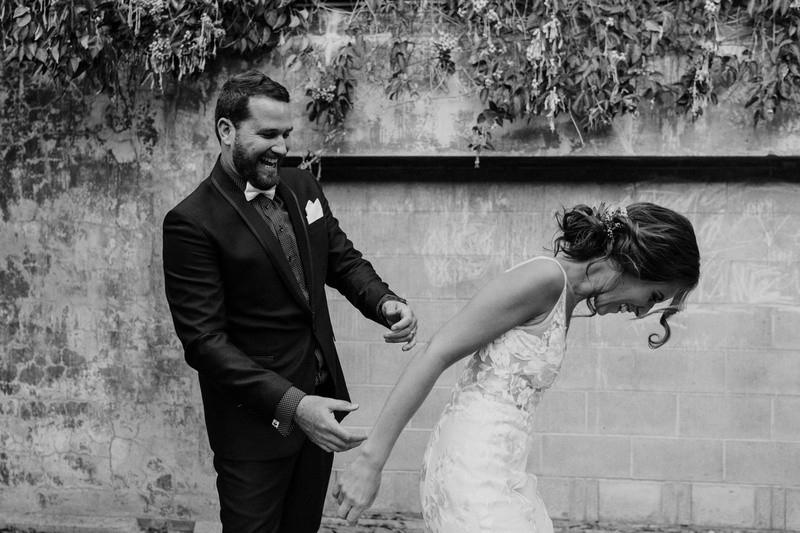 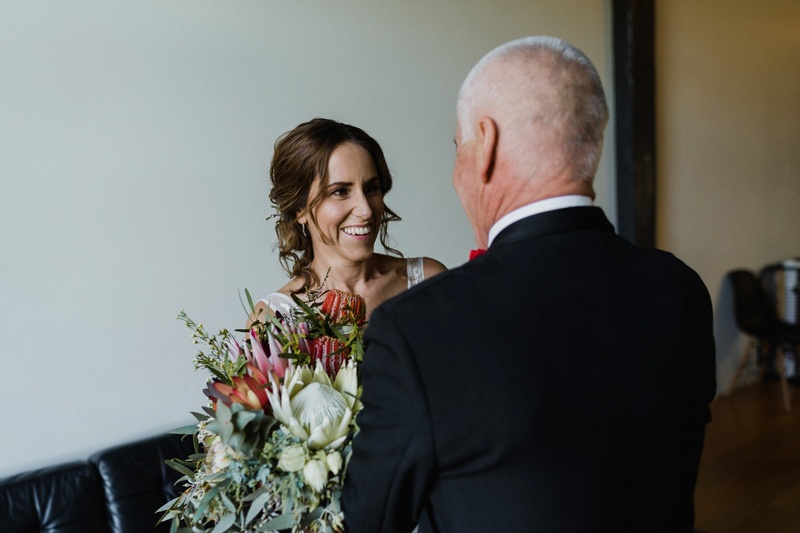 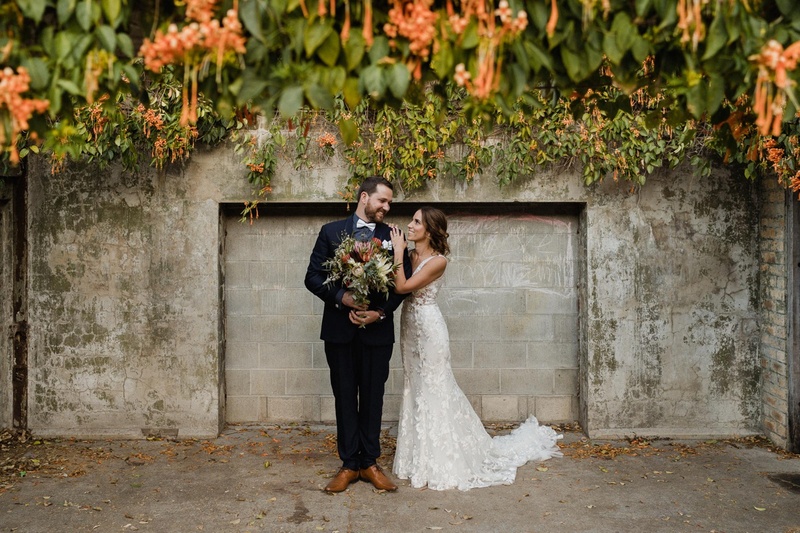 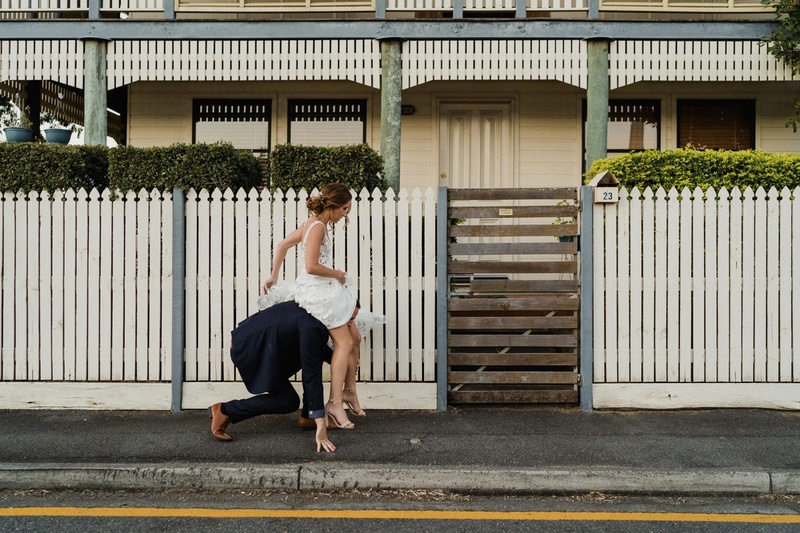 If you liked this wedding, you might like these two weddings: Kangaroo Valley Bush Retreat and Highball House.